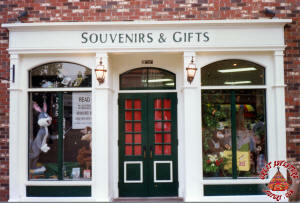 Gifts and souvenirs from a visit to a park have always been a big part of the fun, with parks offering an array of souvenirs from cheap trinkets to more expensive collectibles. 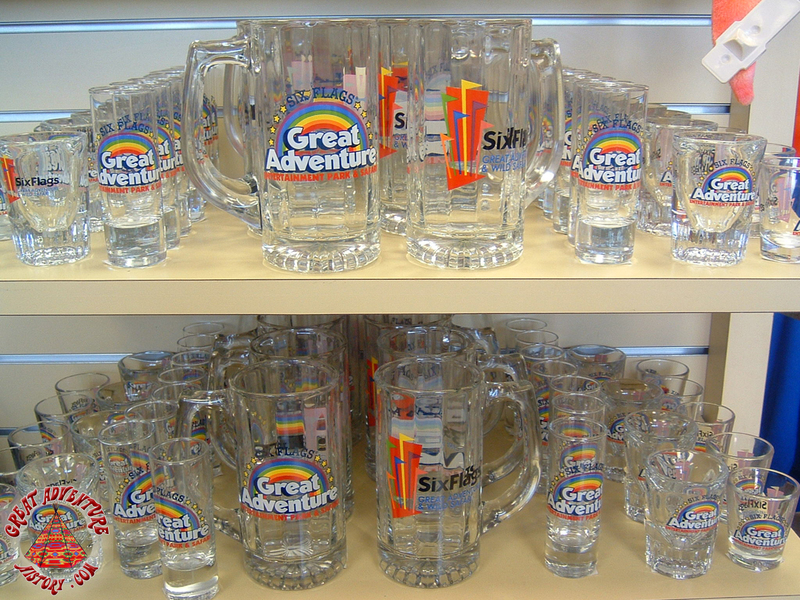 Often the same shop sells a wide variety of these kinds of gifts together to try and appeal to the widest variety of guests. 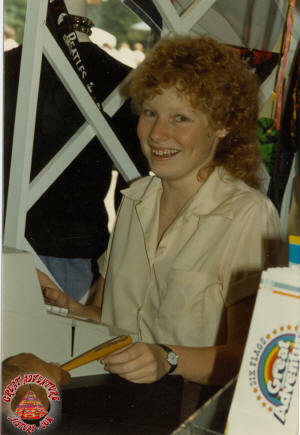 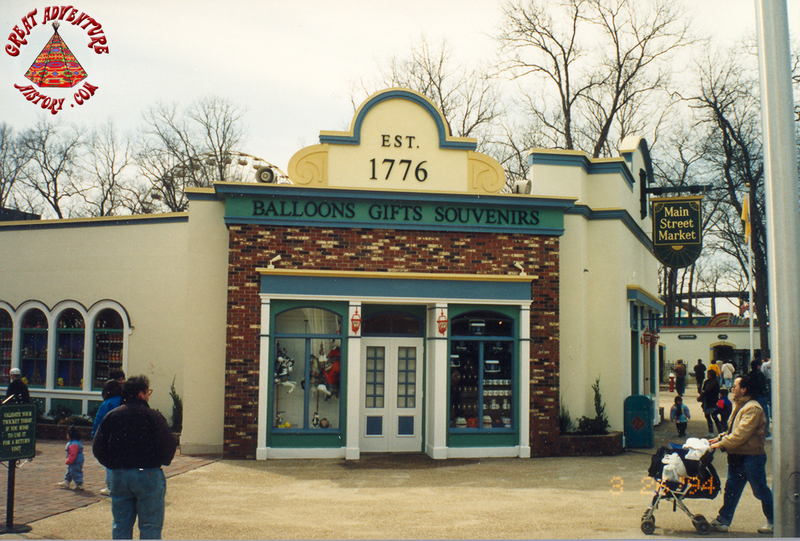 When Great Adventure opened in 1974, guests had an opportunity to purchase last minute gifts at one the four Dream Street Tents located adjacent to the park's entrance and exit. When Great Adventure's main entrance gates were relocated in 1976 new shopping options were needed to be made available. 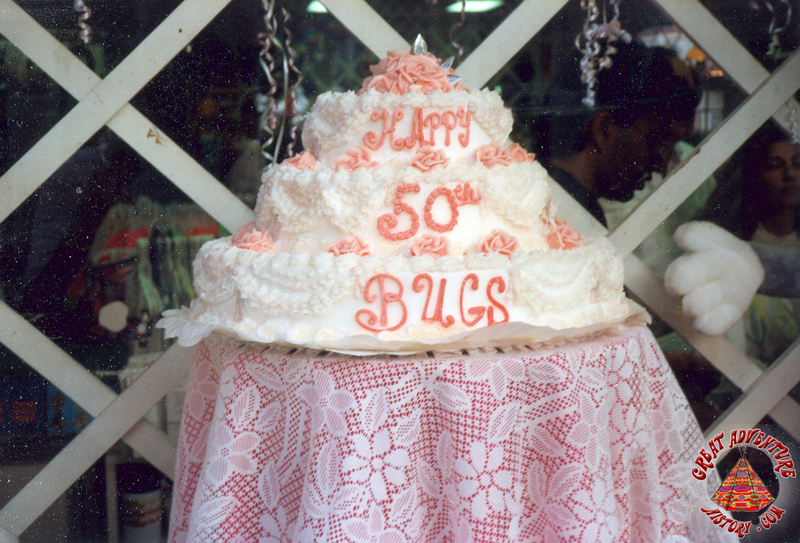 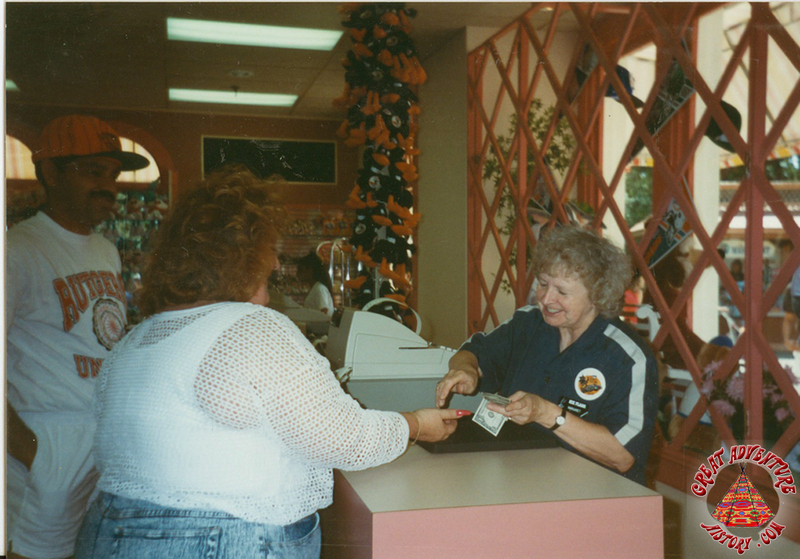 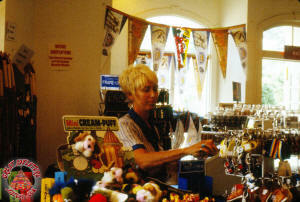 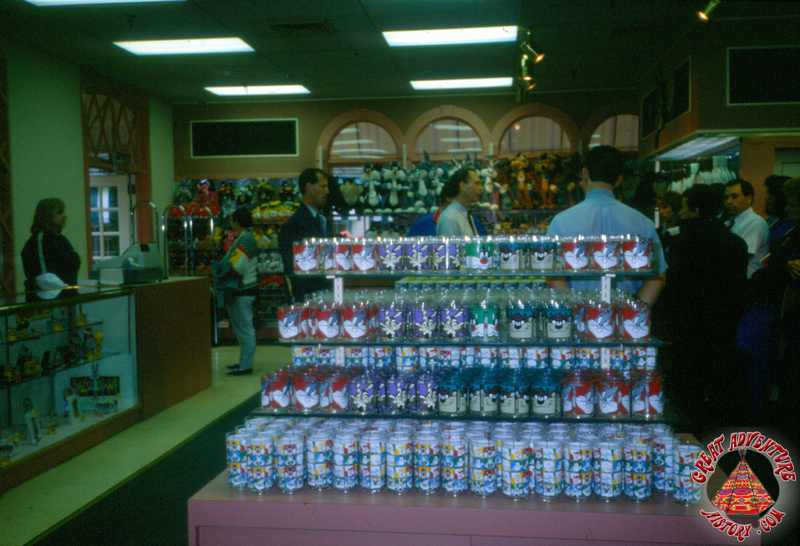 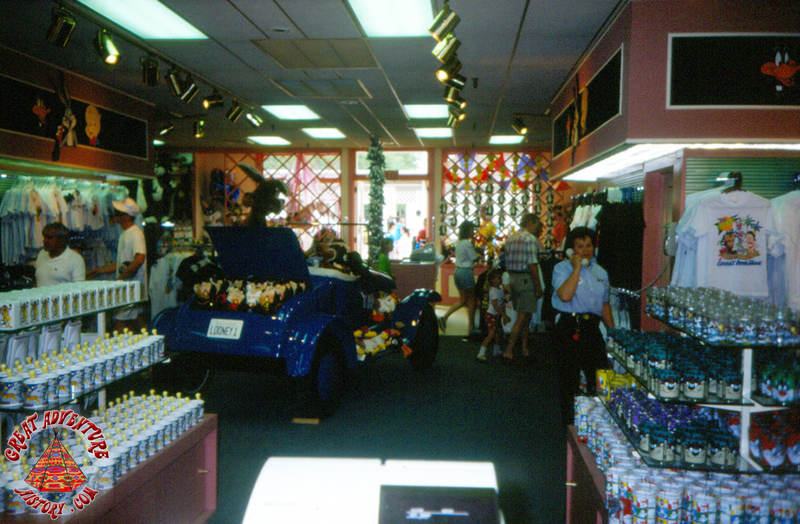 Several small shops around the fountain initially served this function but additional facilities were required to handle the volume of guests looking to make purchases. 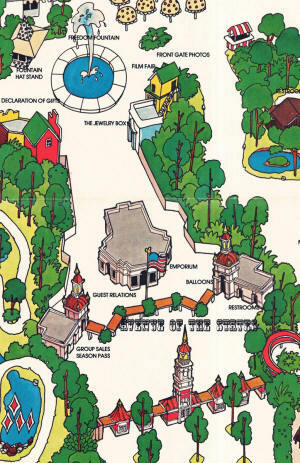 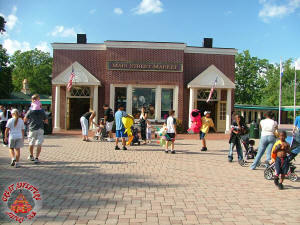 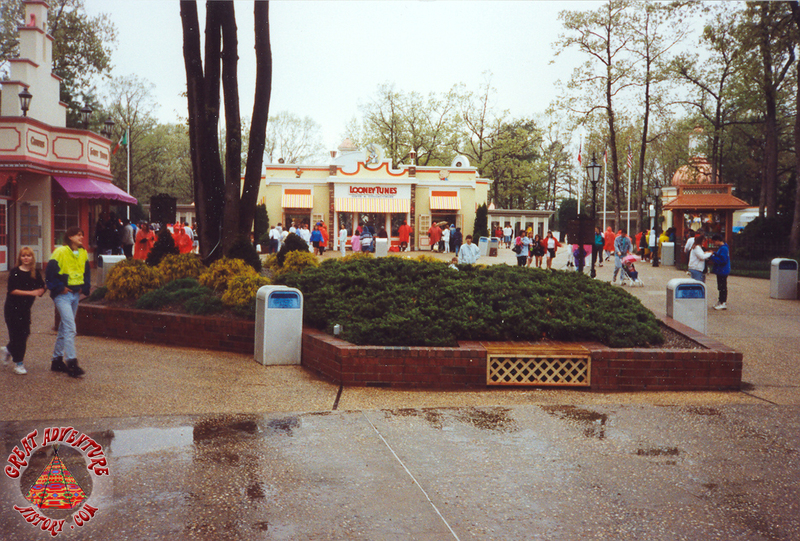 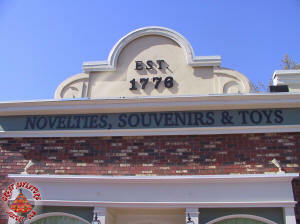 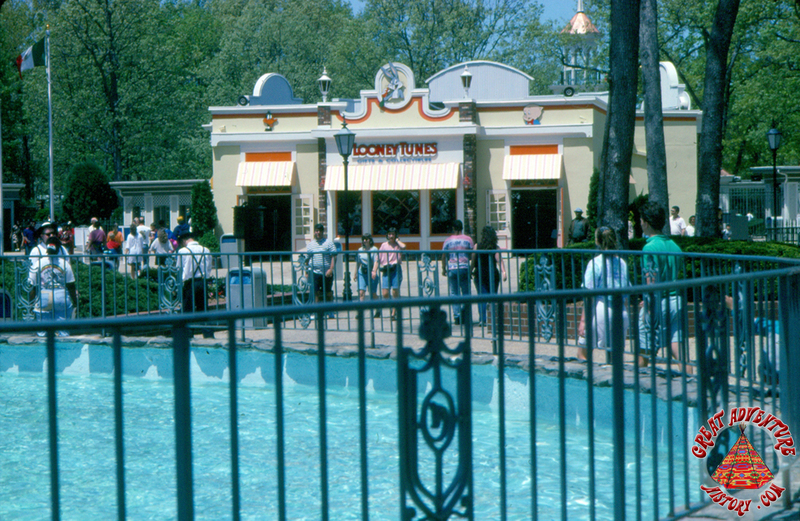 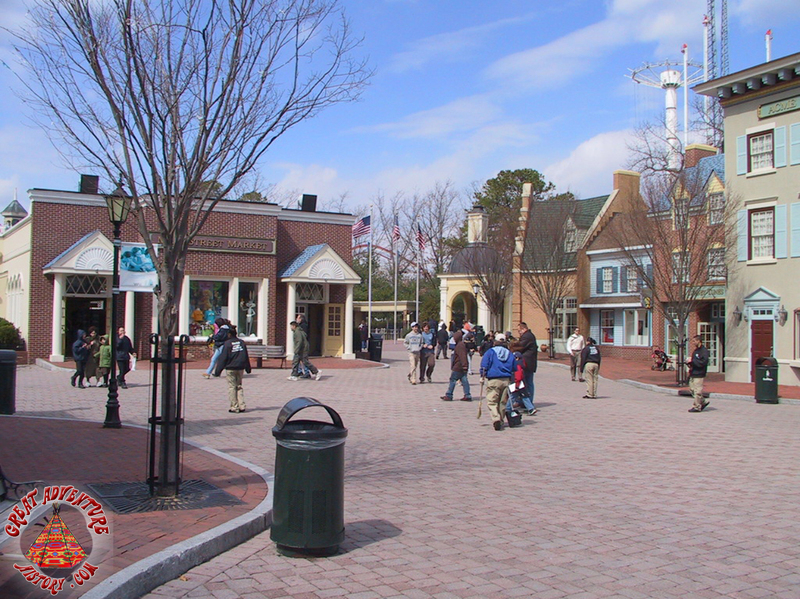 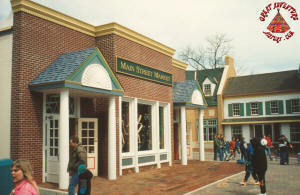 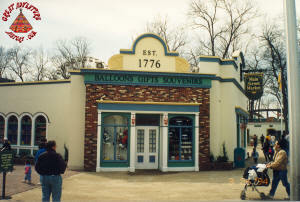 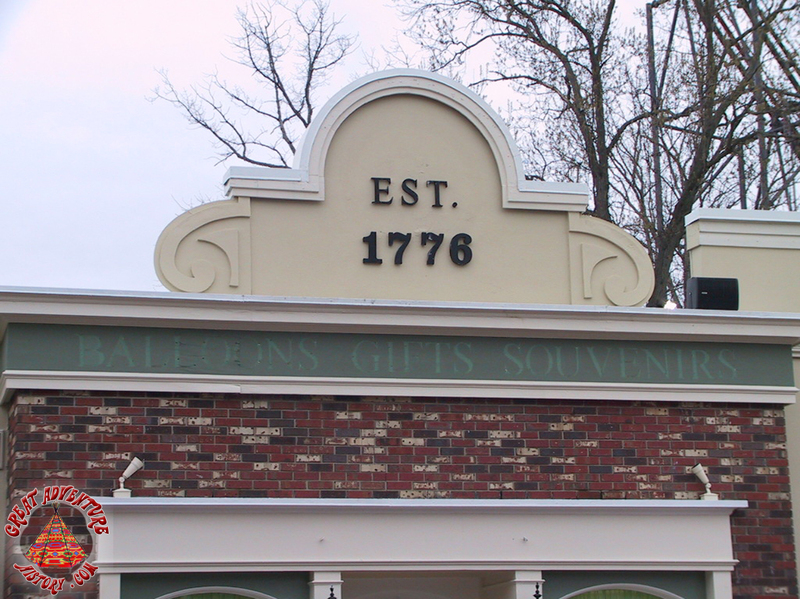 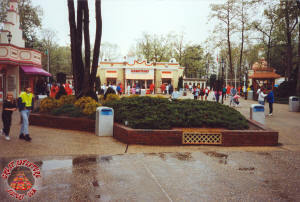 Under new Six Flags management for the 1978 season, Great Adventure added an additional shop to the middle of the park's entry plaza just beyond the entry turnstiles. 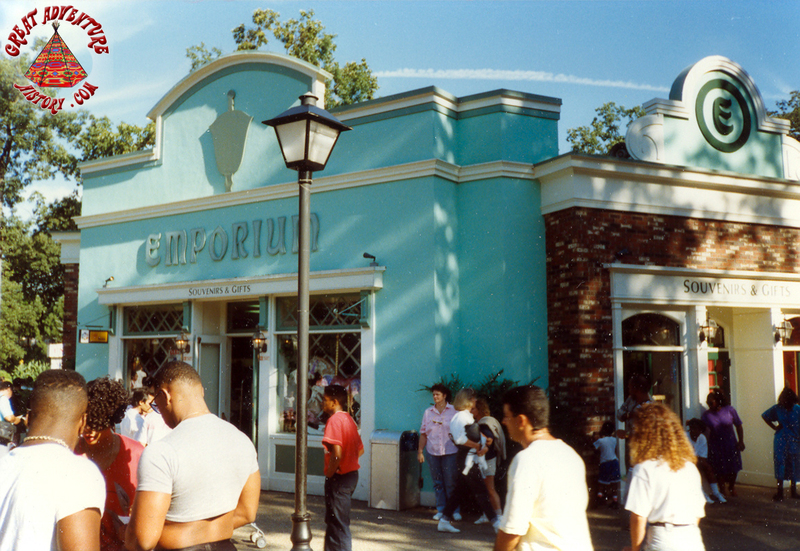 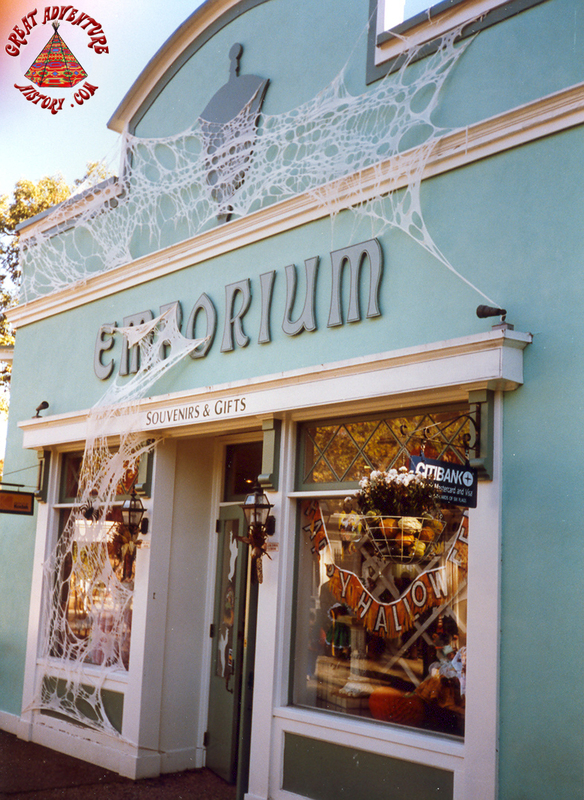 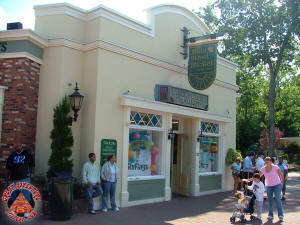 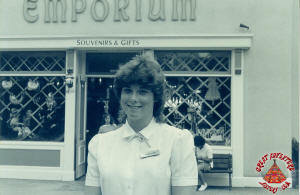 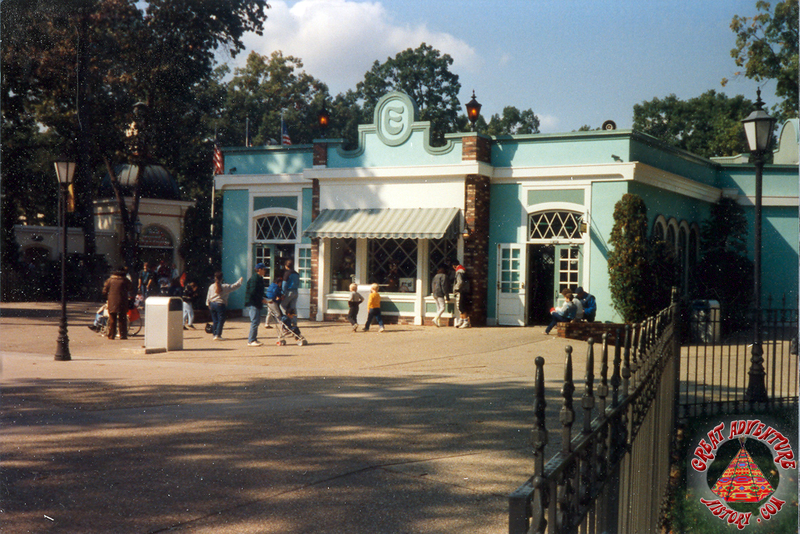 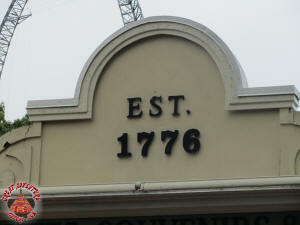 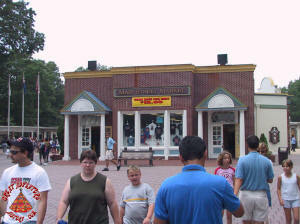 The Emporium, which offered a wide array of souvenirs and sundries items, was designed to compliment the colonial style architecture of the entrance plaza which had been built in 1976 for America's Bicentennial celebration. 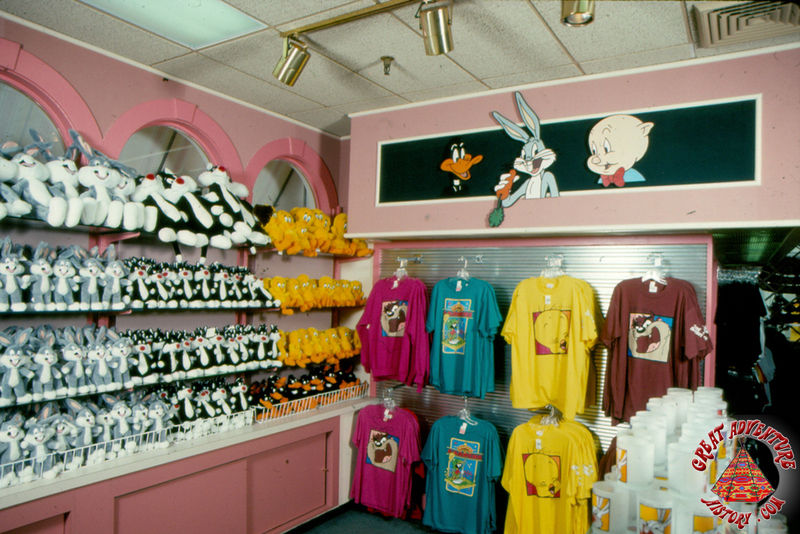 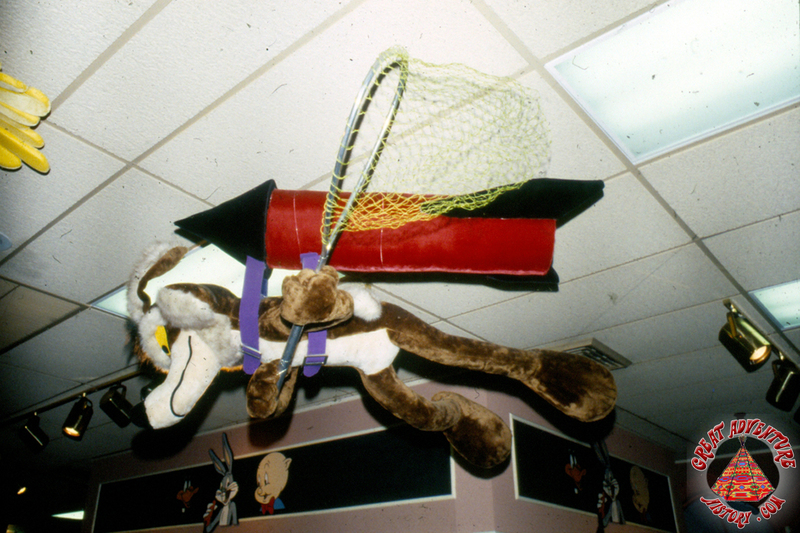 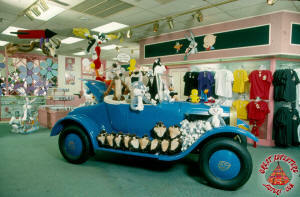 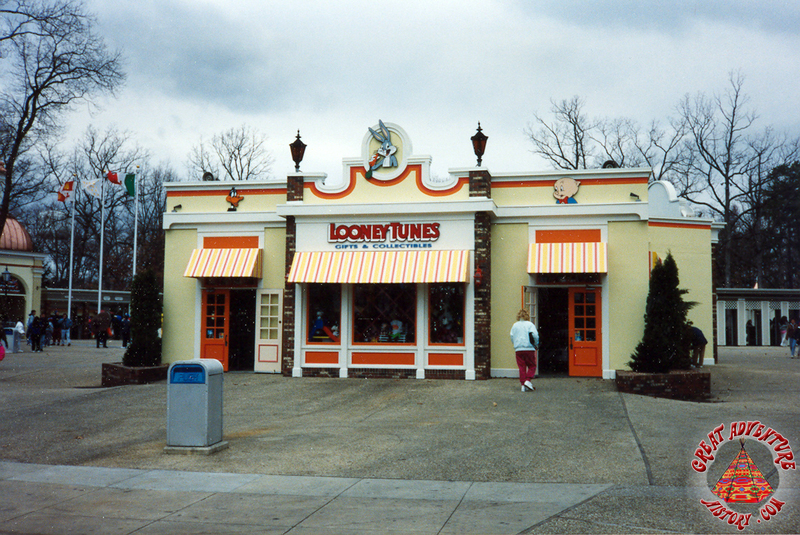 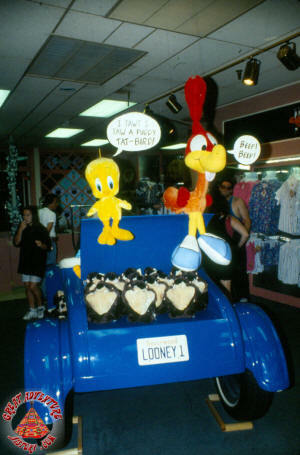 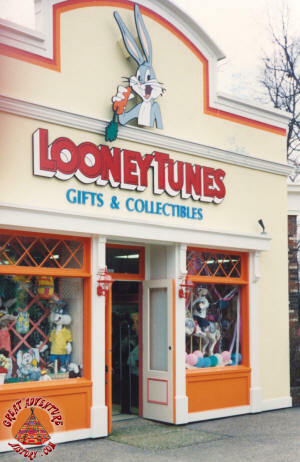 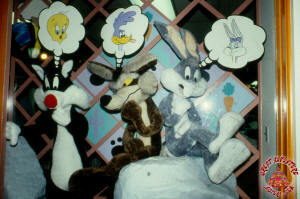 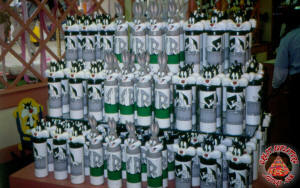 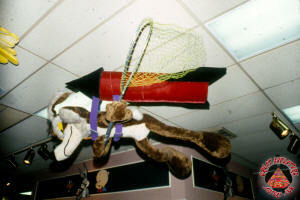 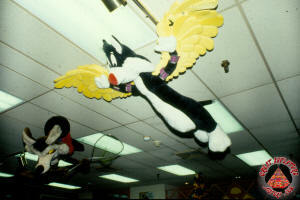 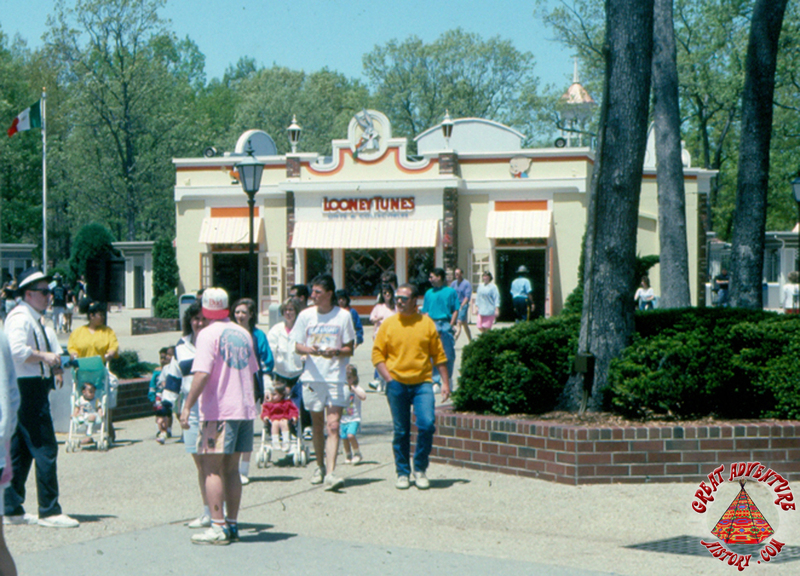 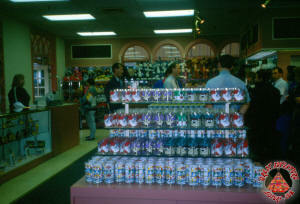 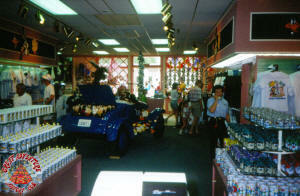 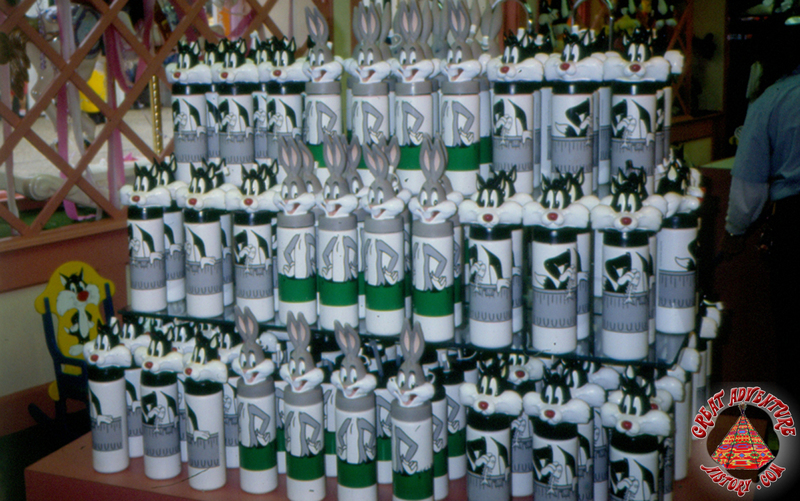 For the 1992 season, the Emporium was updated and remodeled to become Looney Tunes Gifts & Collectibles. 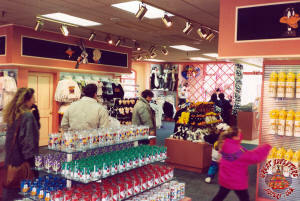 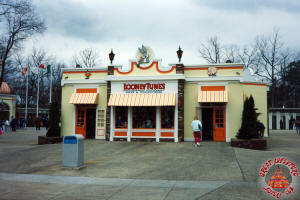 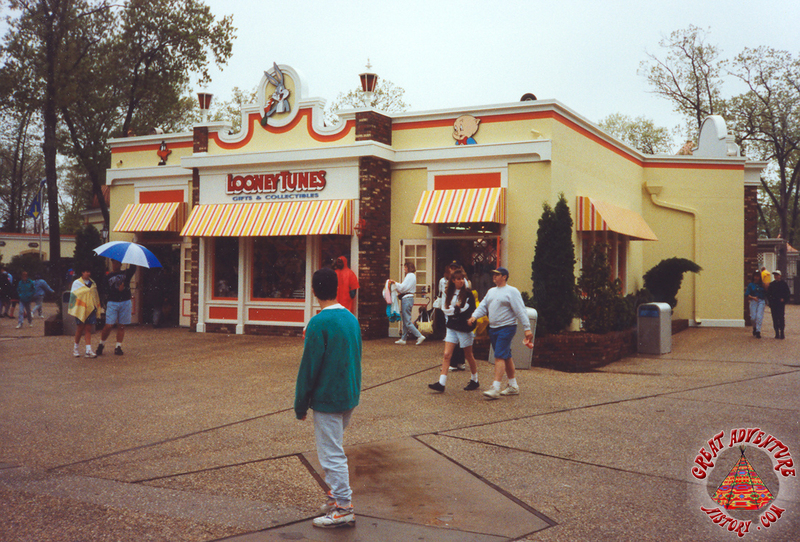 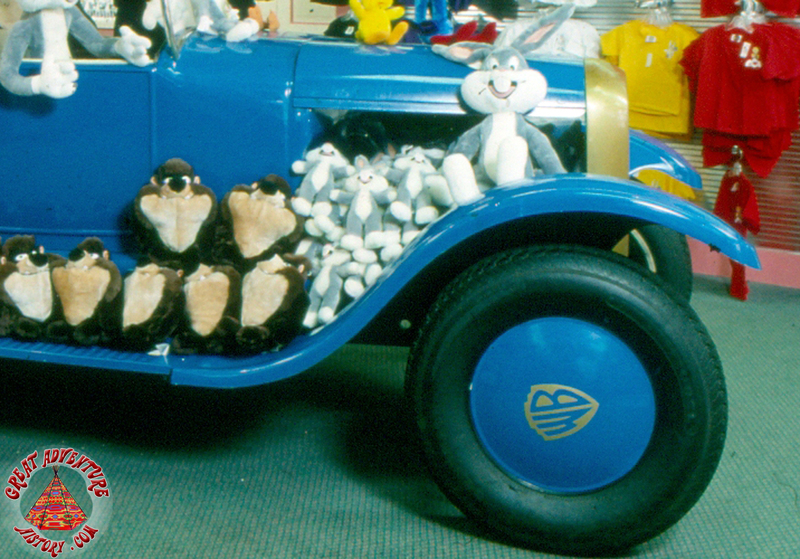 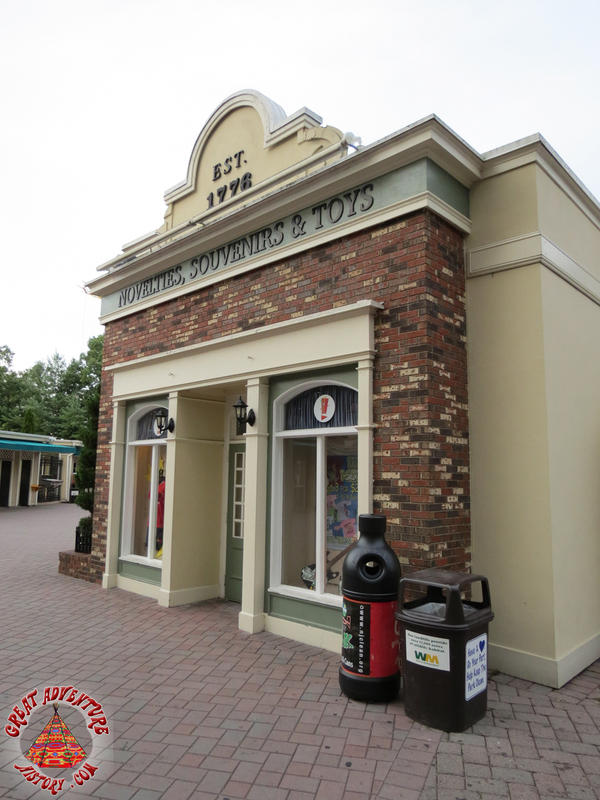 The park's new owners, Time Warner, looked to expand their brand presence and promote the Looney Tunes in the parks by creating a shop that specialized in character products. 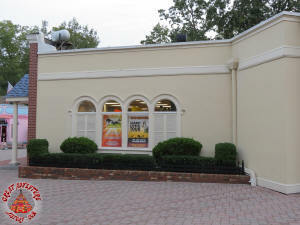 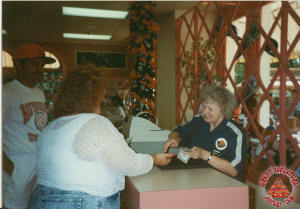 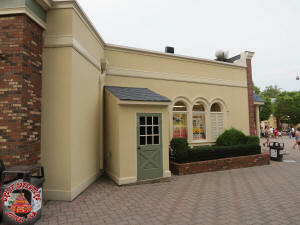 The exterior of the shop was repainted a bright yellow with orange trim and awnings. 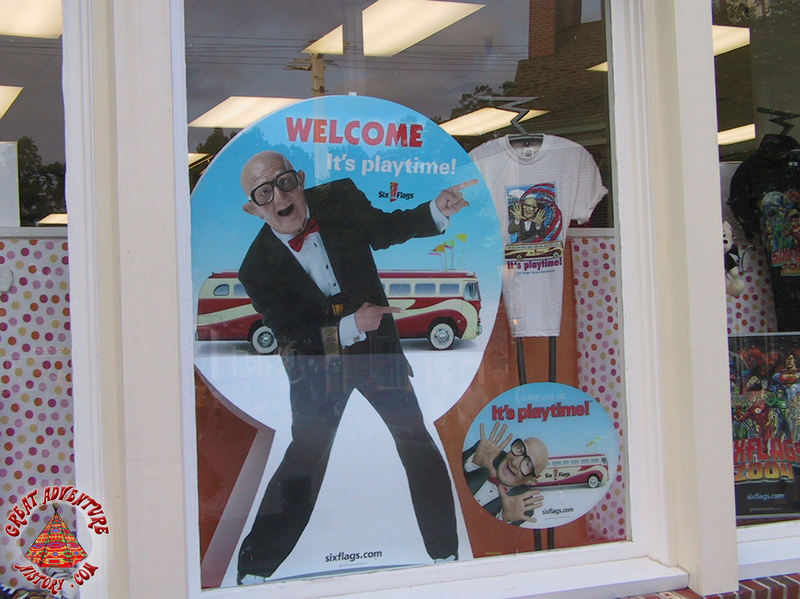 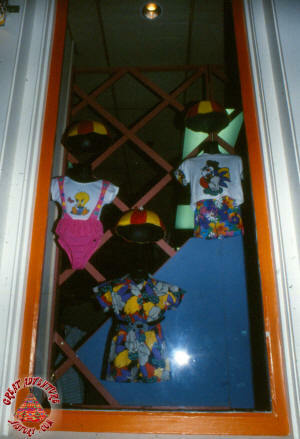 Oversized character cutouts adorned the doorway tops serving as beacons for small children to drag their parents into the store so they could take home a memento of their visit. 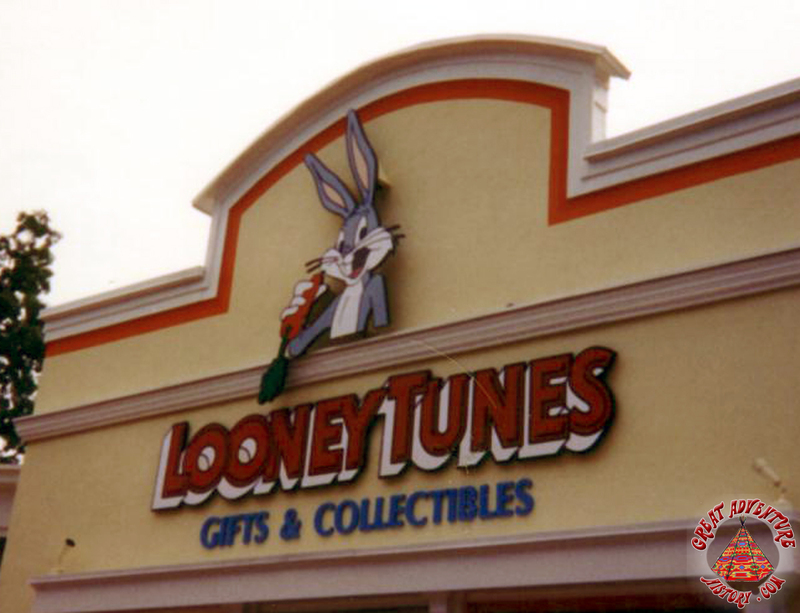 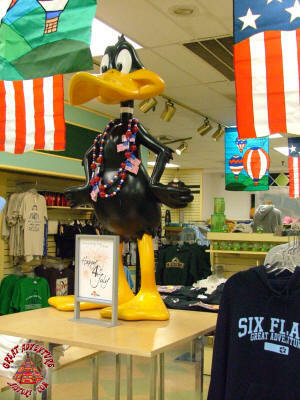 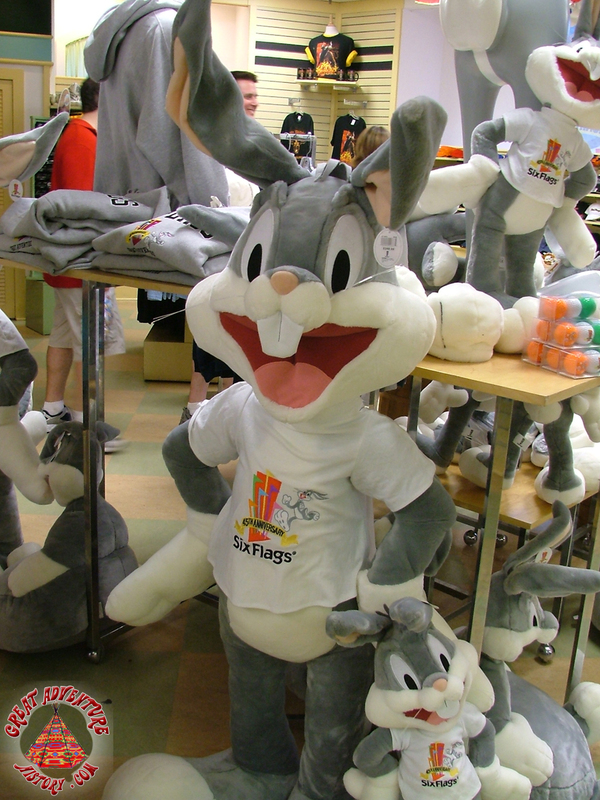 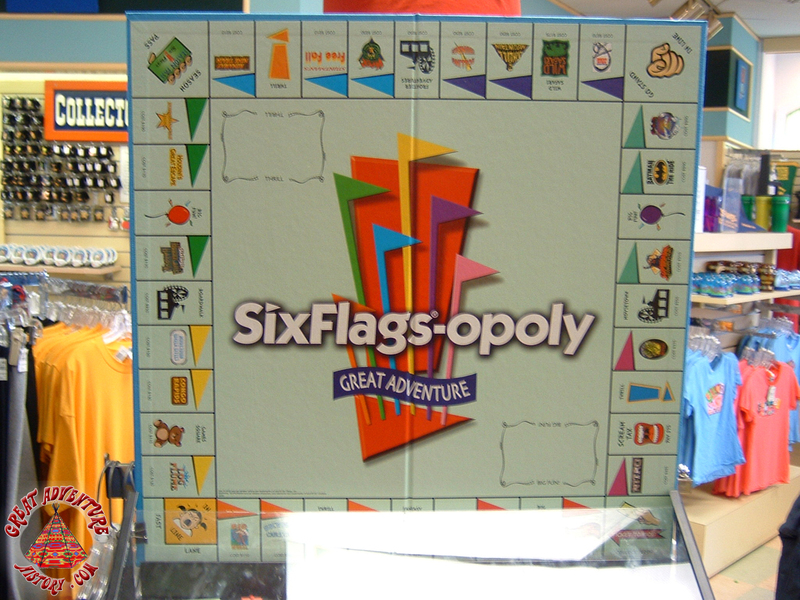 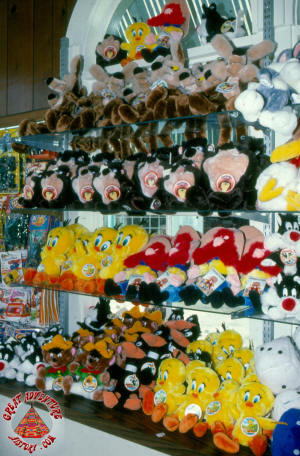 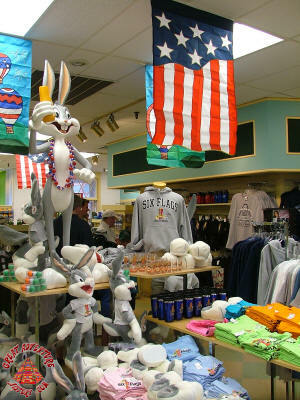 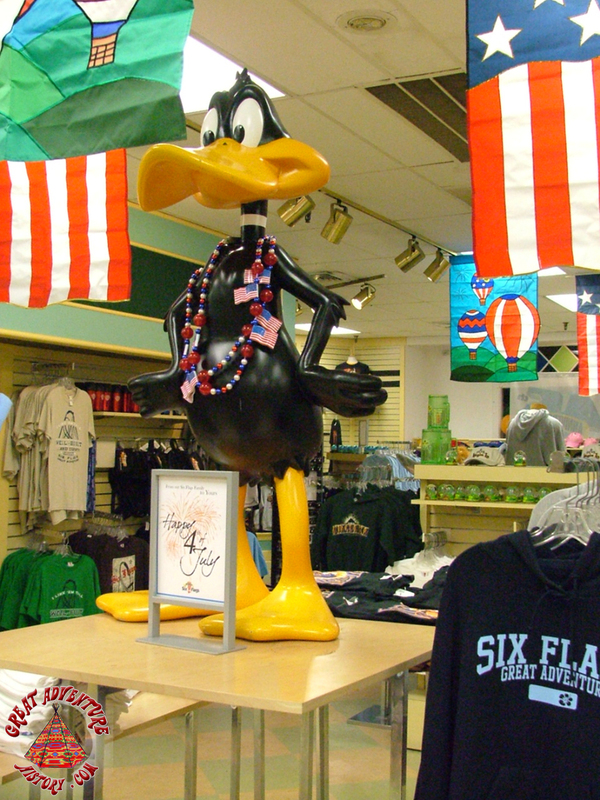 As Looney Tunes Gifts & Collectibles, the array of merchandise offered with the characters was greatly expanded, offering everything from inexpensive plastic toys to collectible plates and figures- all featuring the characters as well as the Six Flags Great Adventure name. 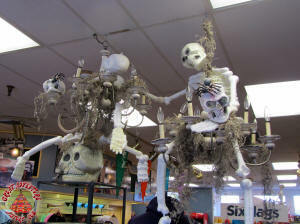 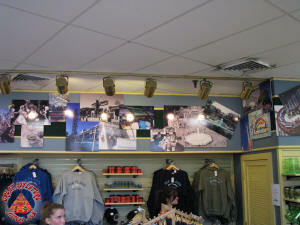 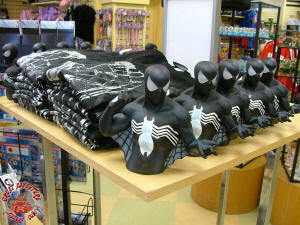 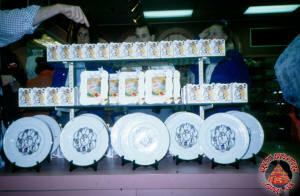 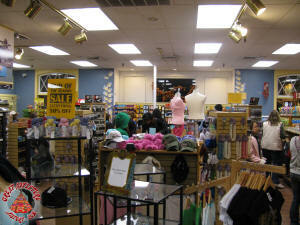 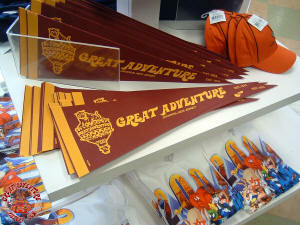 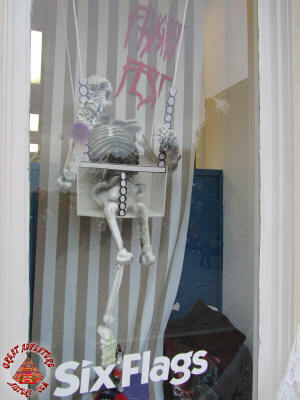 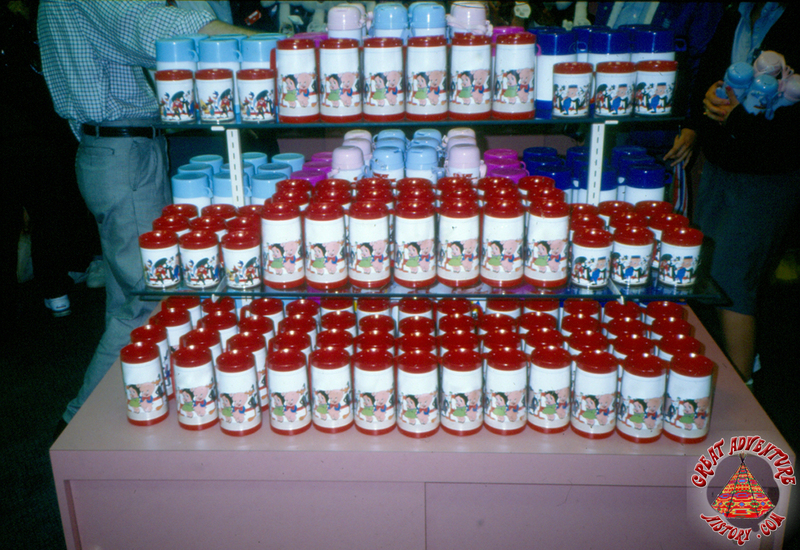 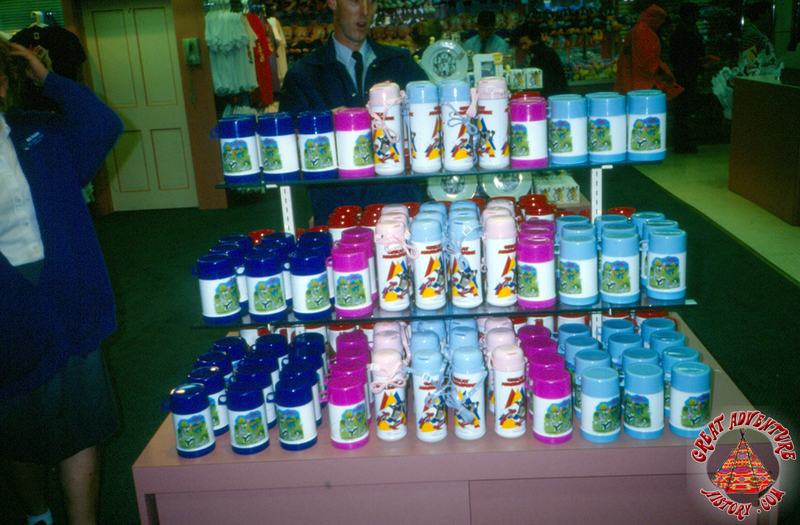 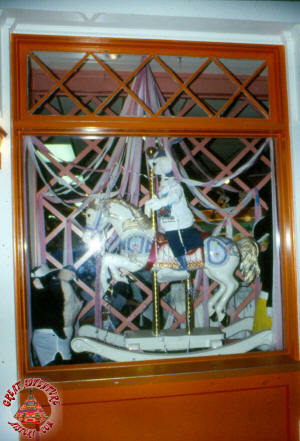 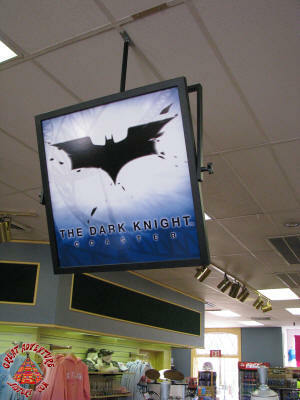 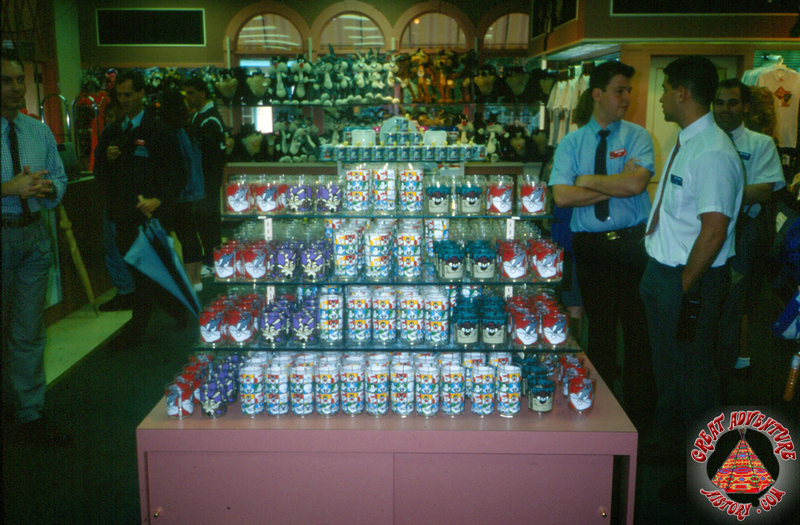 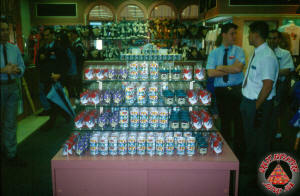 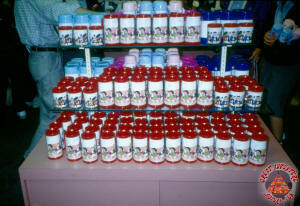 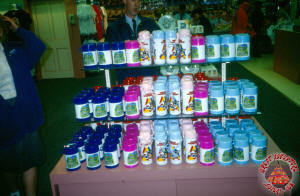 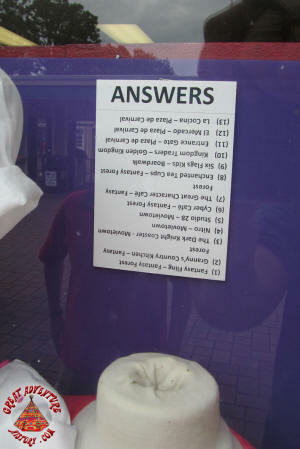 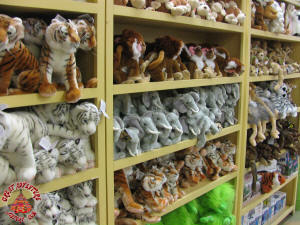 Along with the changed name and lines of merchandise, creative new fixtures were added to display all the new treasures. 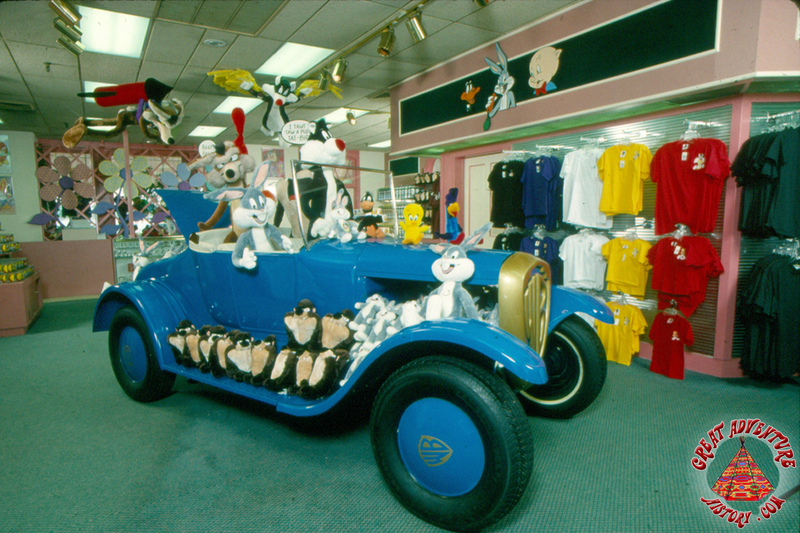 Some of the new fixtures and displays were quite elaborate including an antique roadster which was filled with Looney Tunes plush toys. 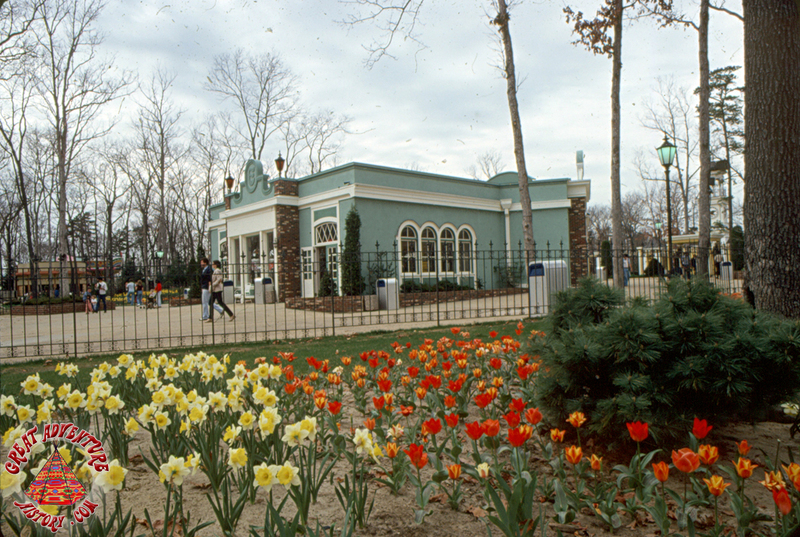 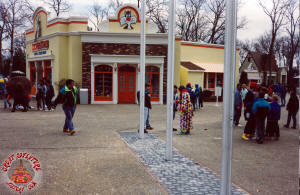 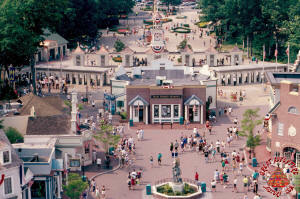 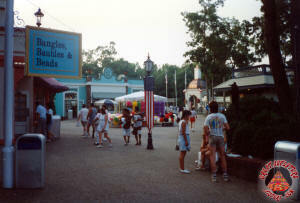 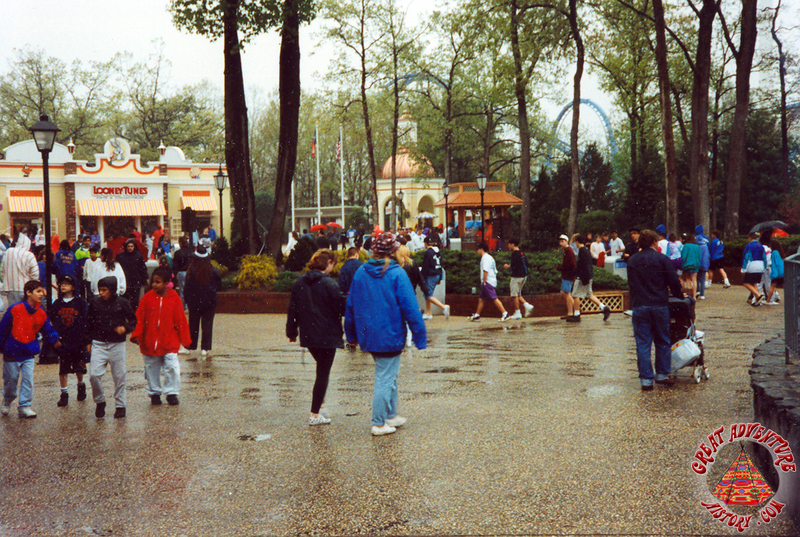 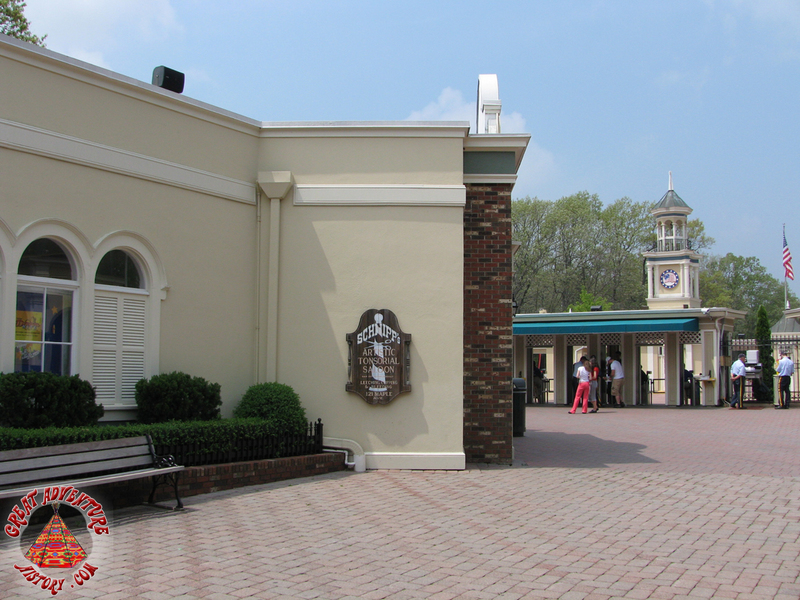 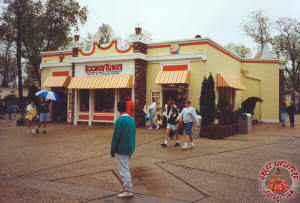 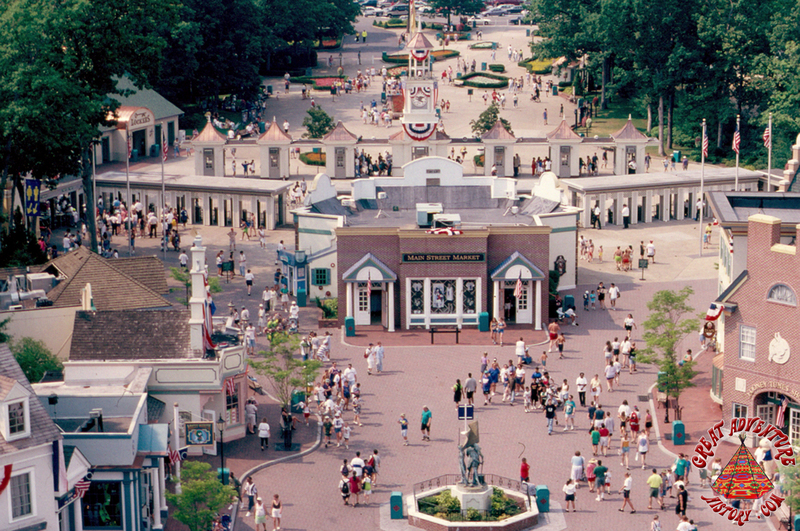 For the 1994 season the park's entrance plaza was updated once again as Six Flags ownership looked to bring immersive themed elements to the park to enhance the atmosphere of the entry/exit-way. 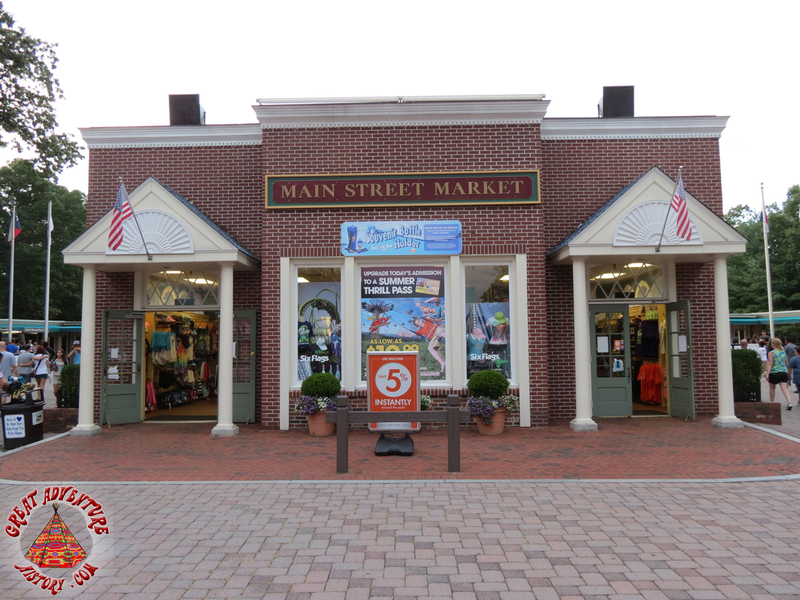 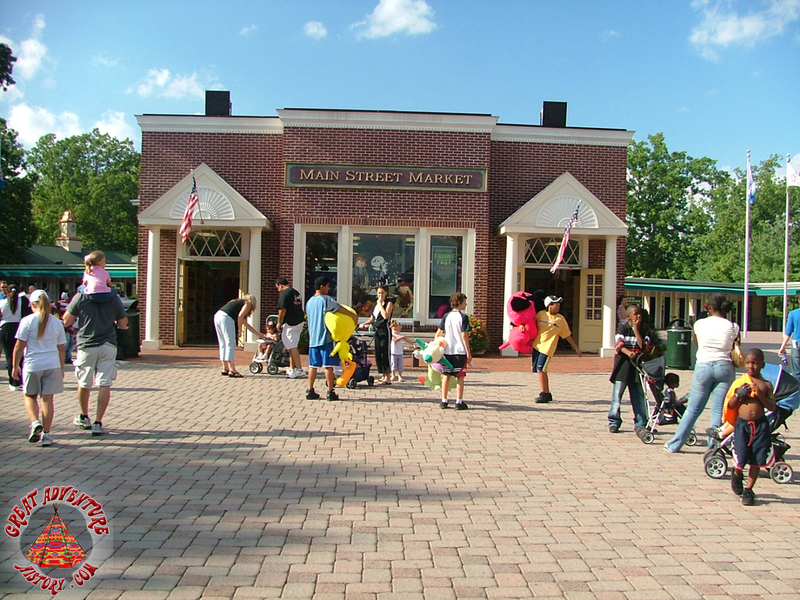 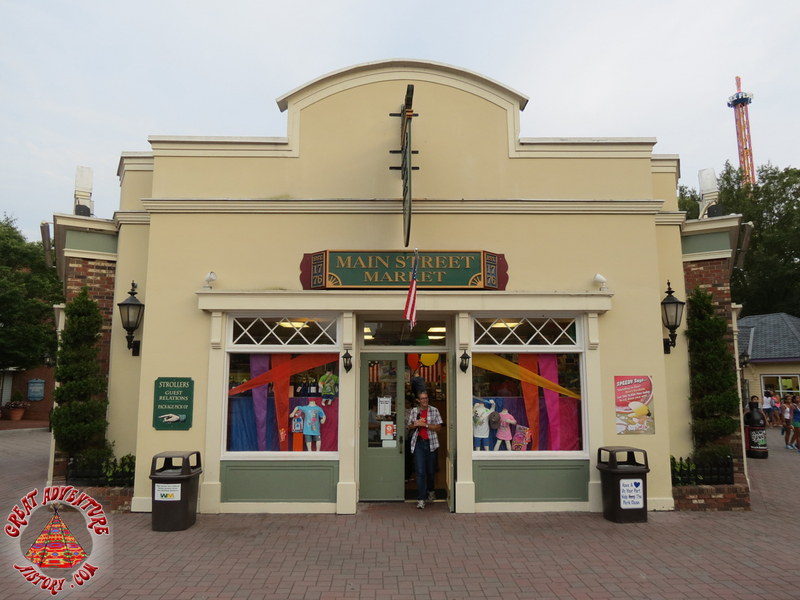 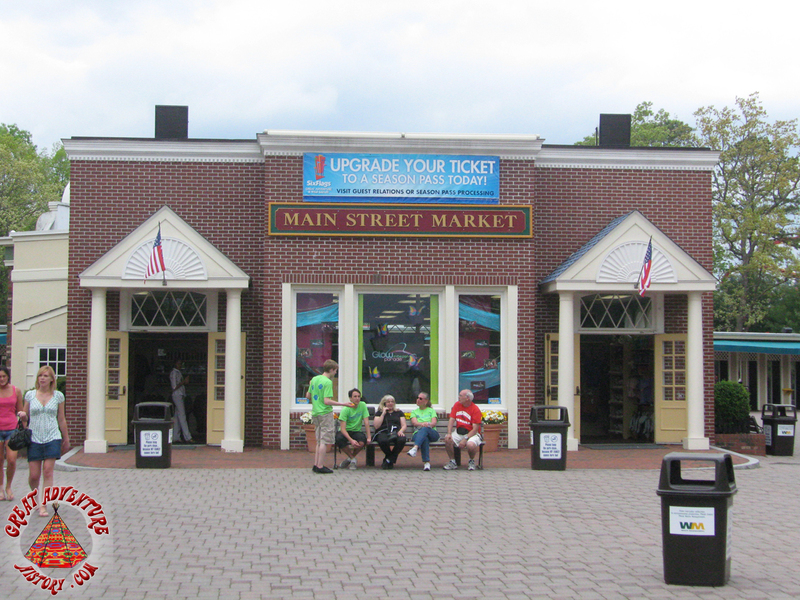 With the addition of the giant new Looney Tunes Shoppe next door, the former Looney Tunes Gifts & Collectibles was rethemed and renamed Main Street Market. 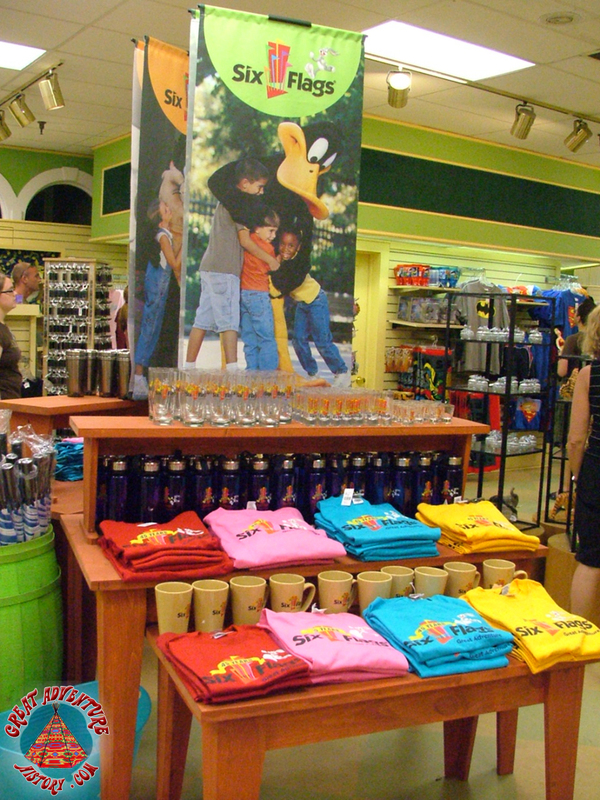 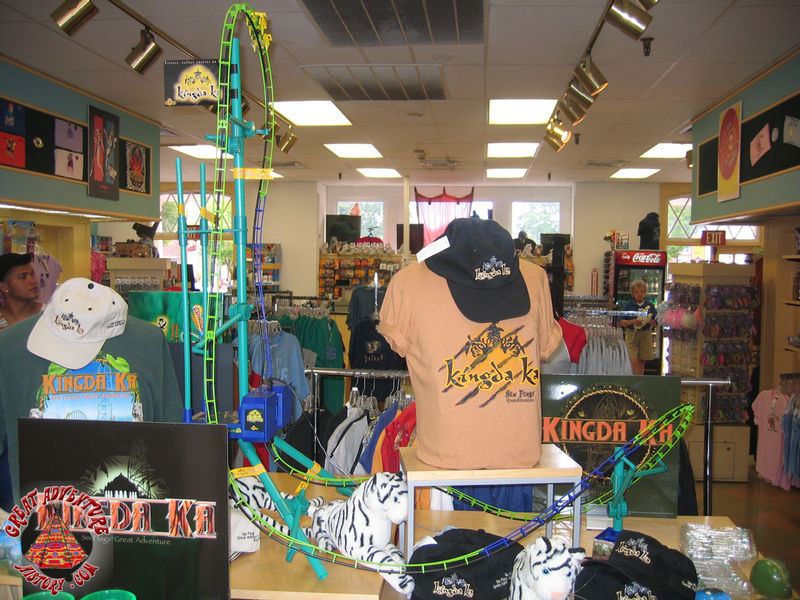 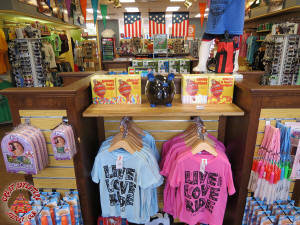 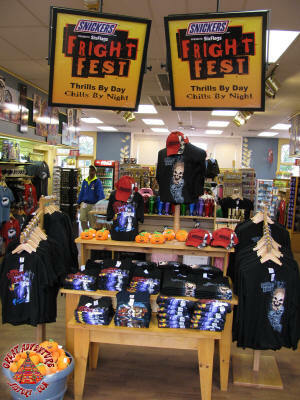 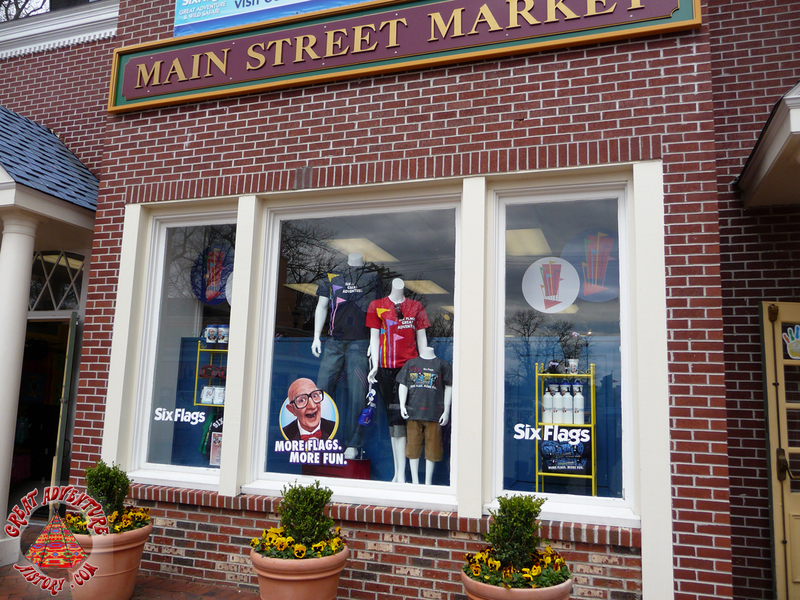 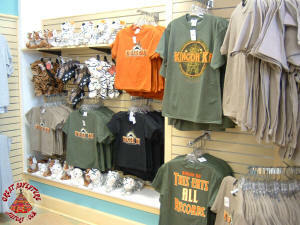 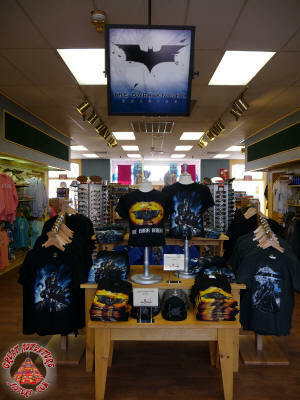 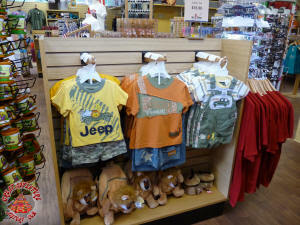 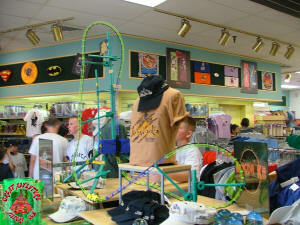 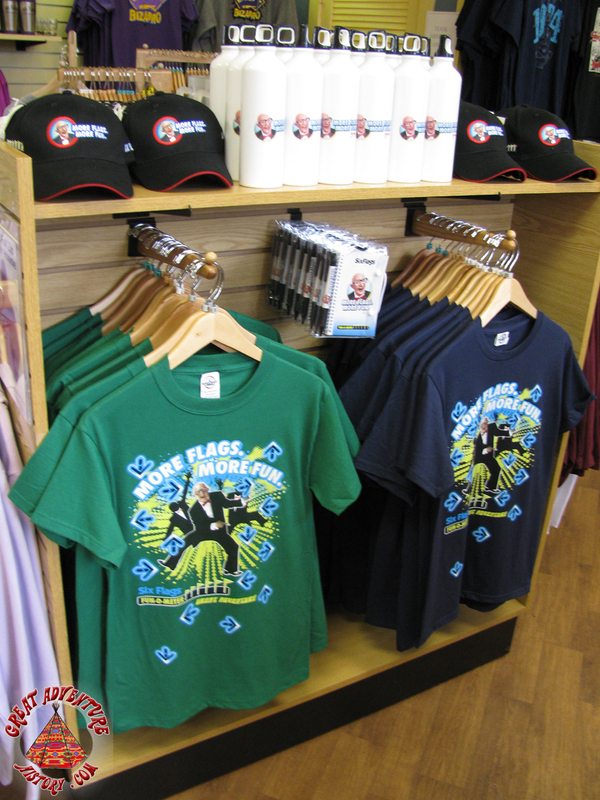 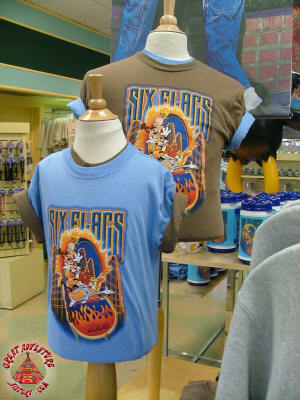 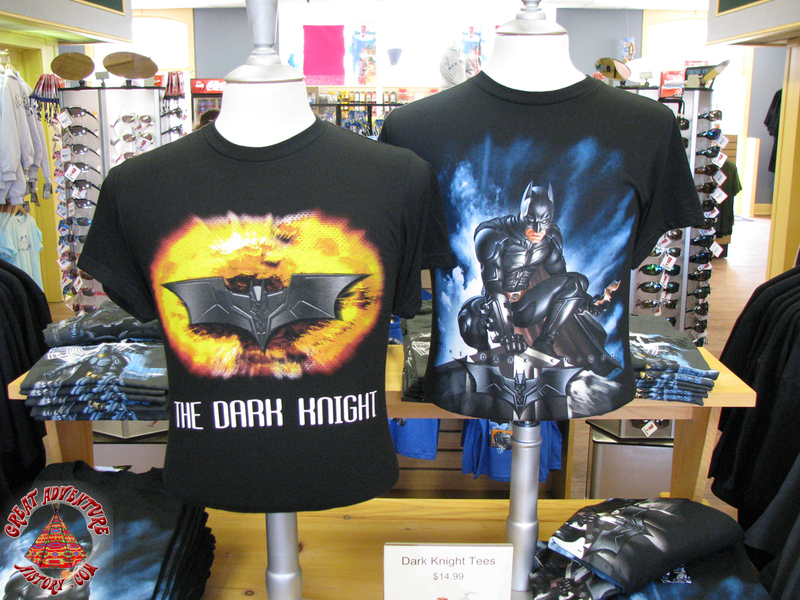 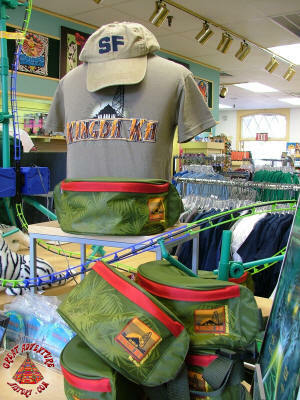 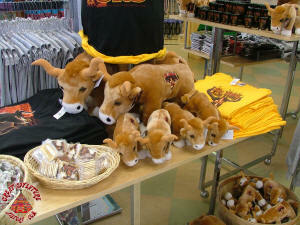 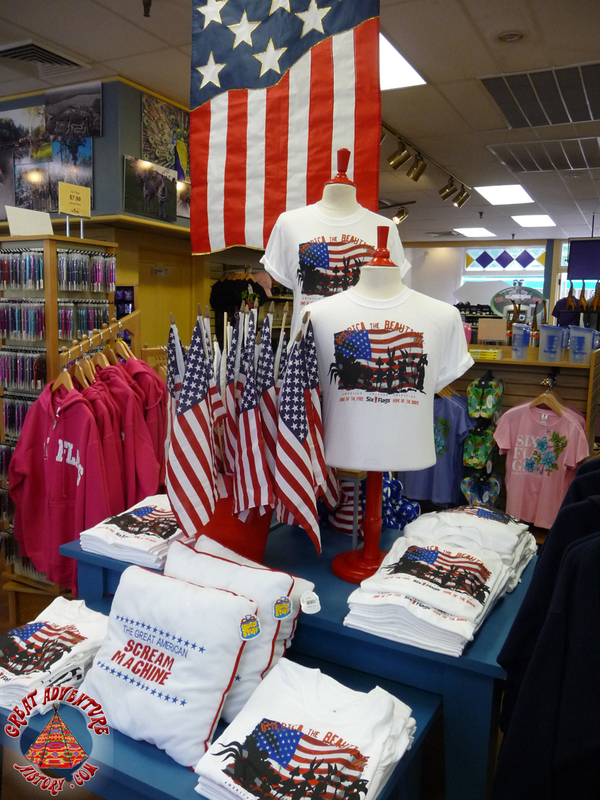 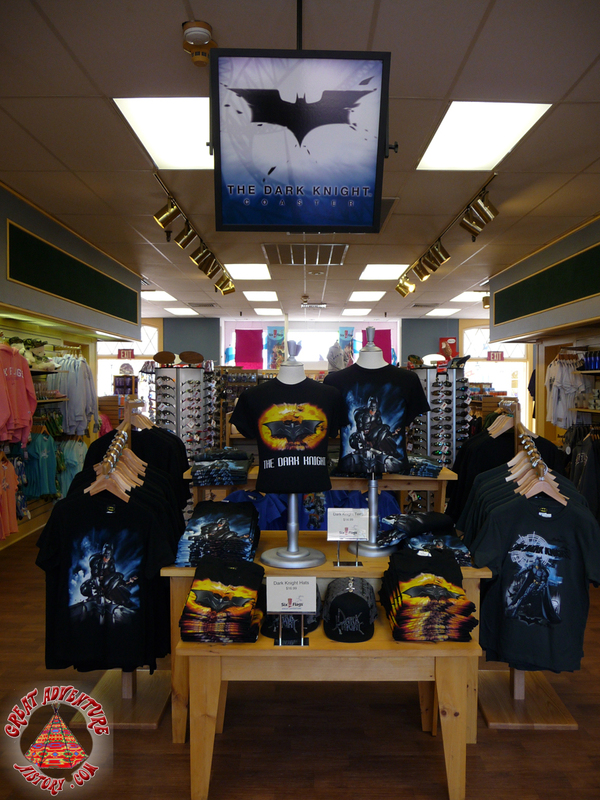 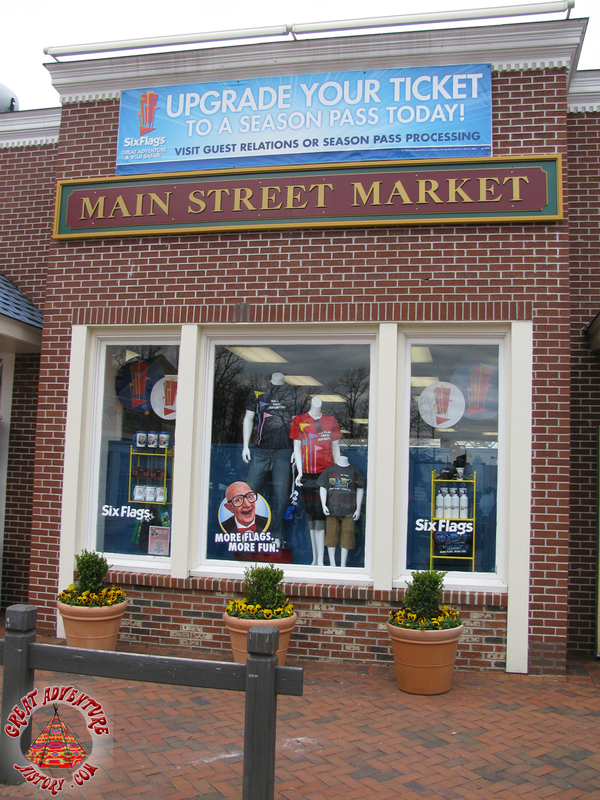 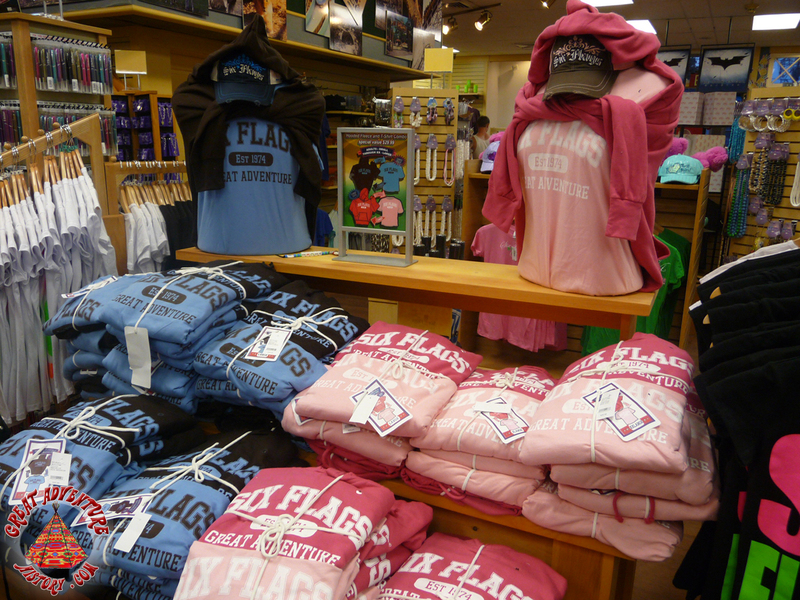 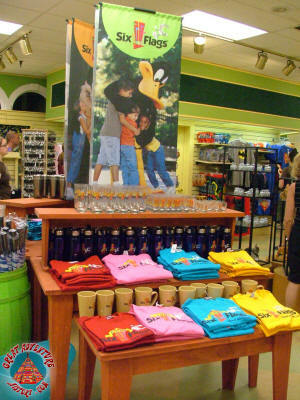 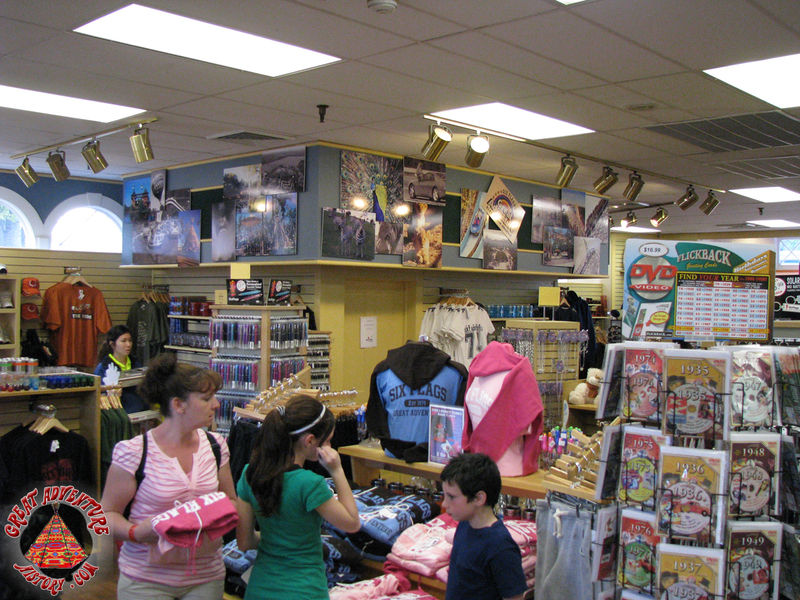 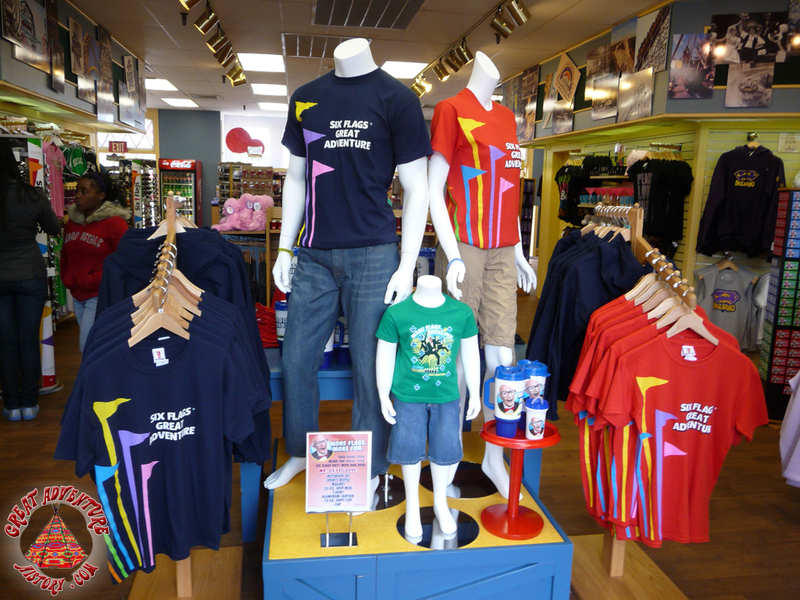 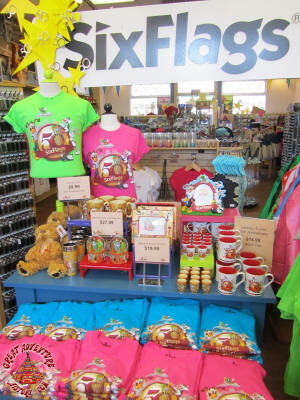 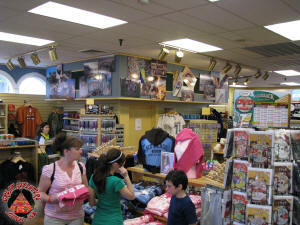 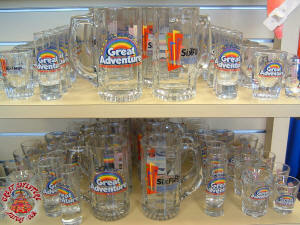 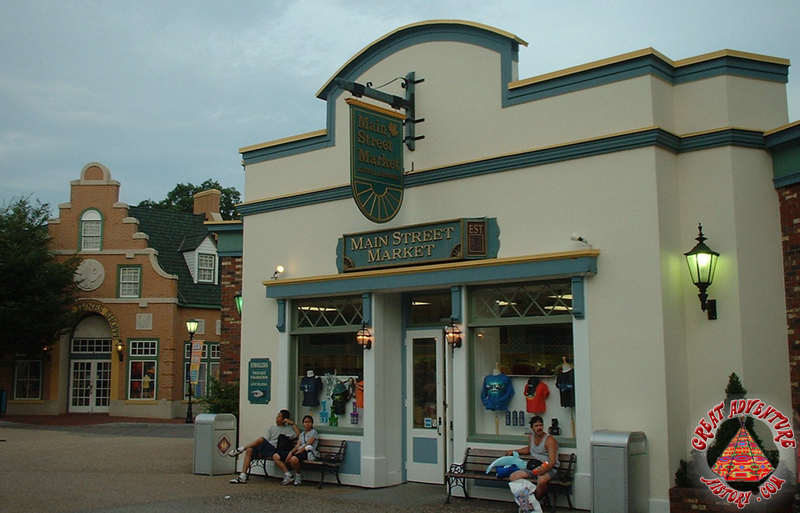 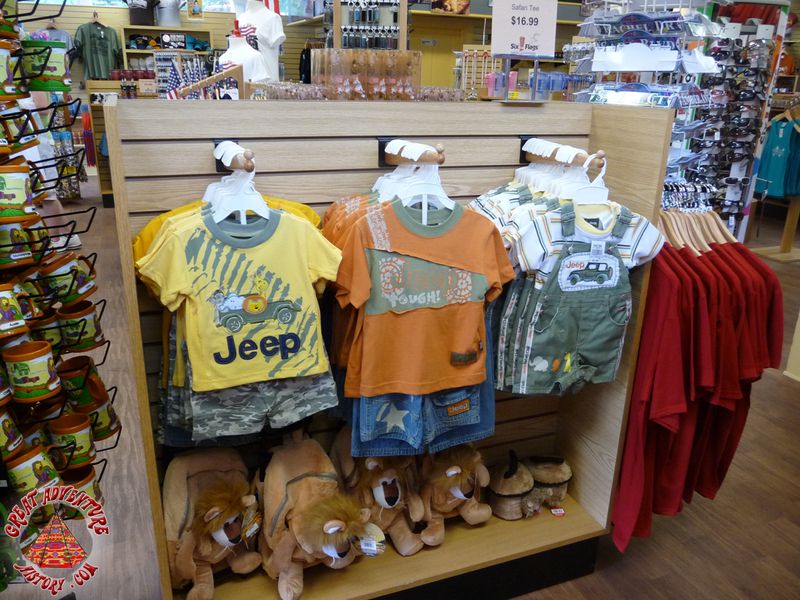 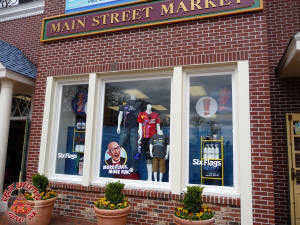 As Main Street Market, to this day the selection of merchandise generally features all of the latest ride gear and apparel as well as typical park souvenirs. 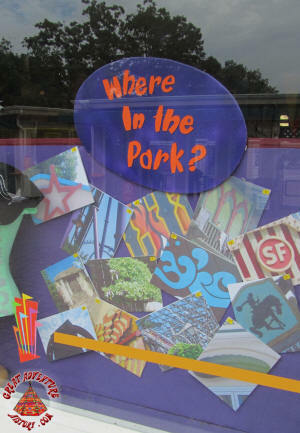 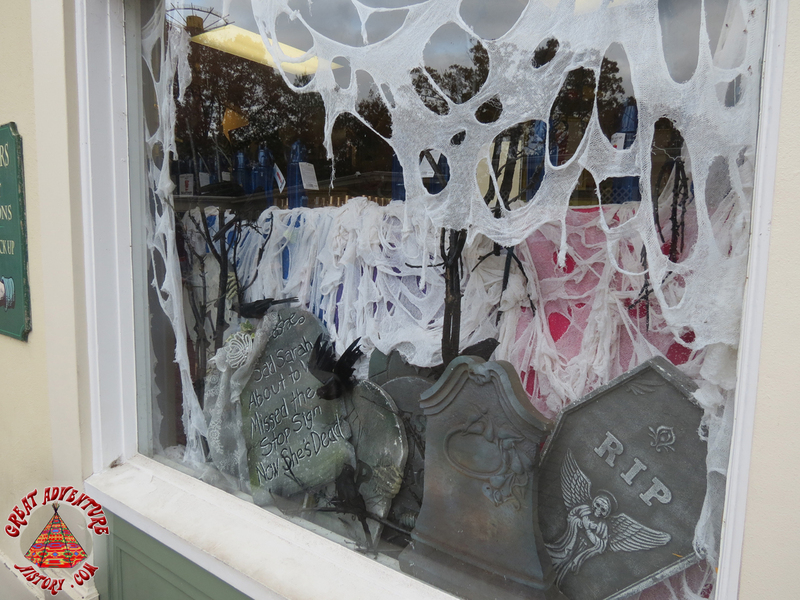 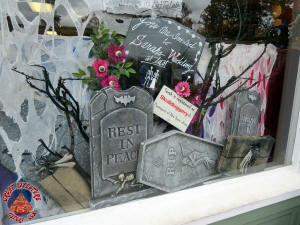 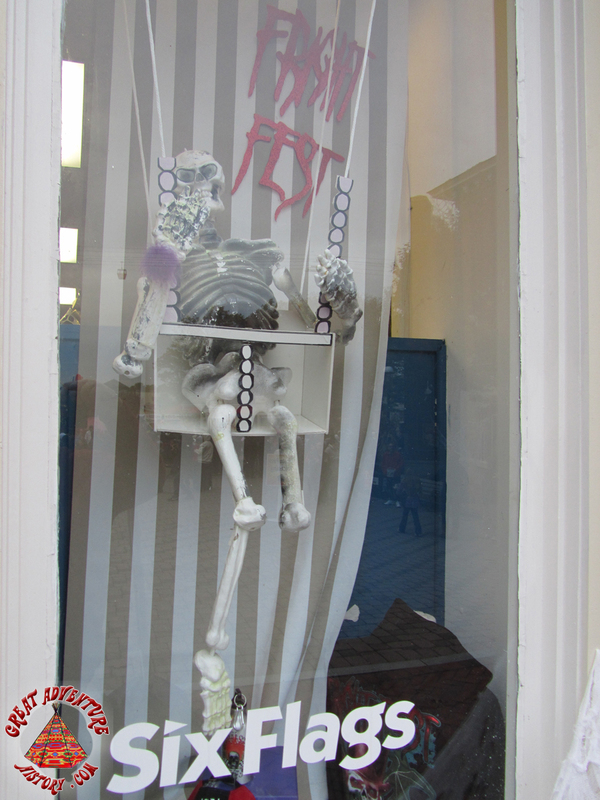 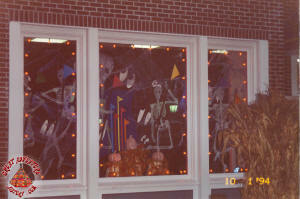 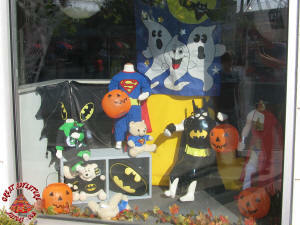 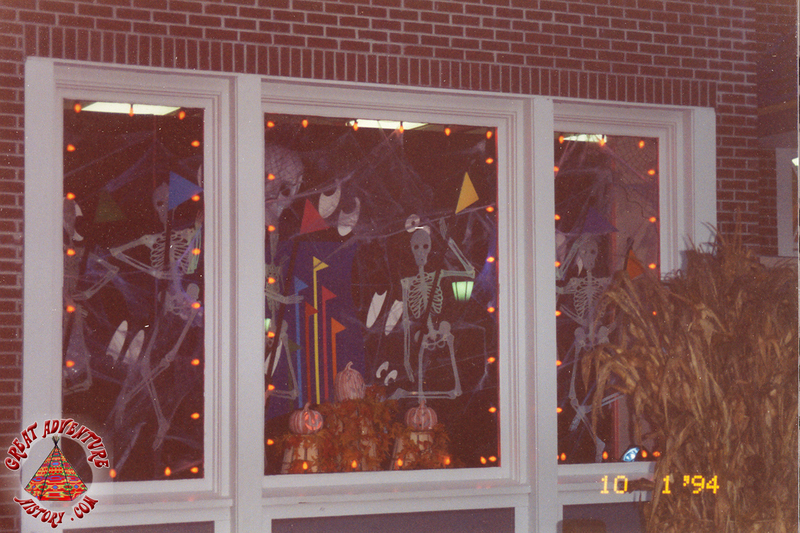 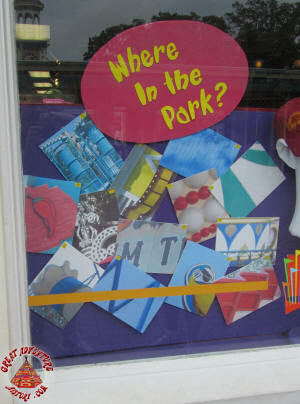 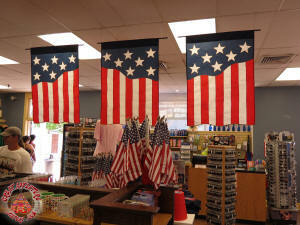 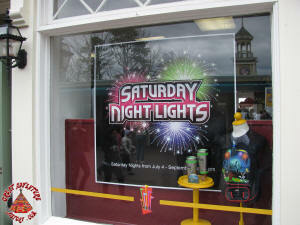 The shop also features seasonally updated displays for holidays and events in the park. 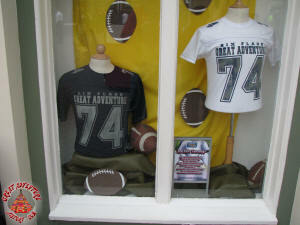 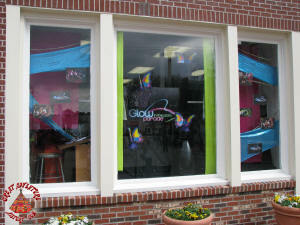 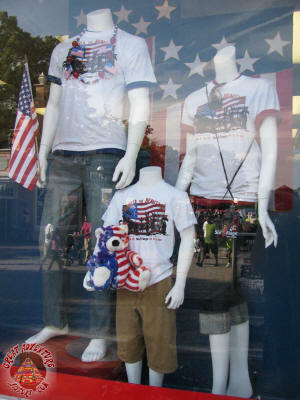 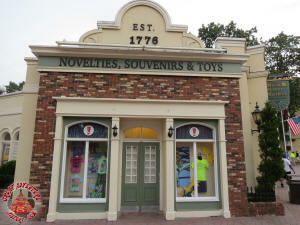 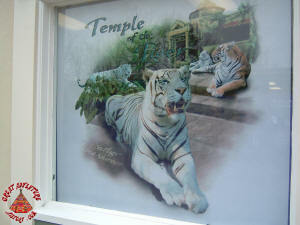 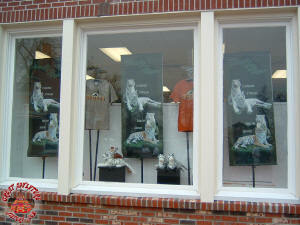 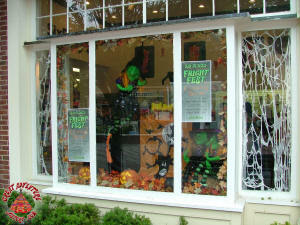 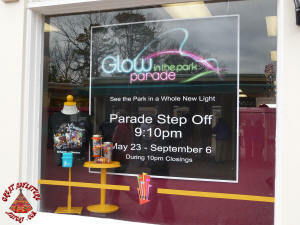 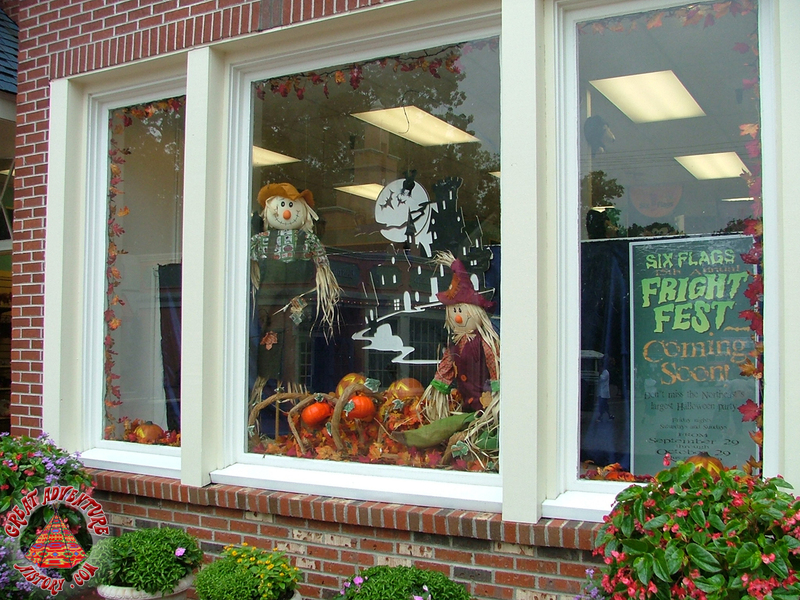 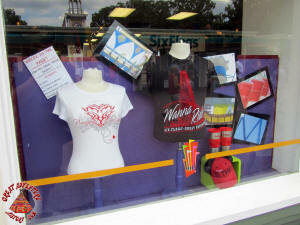 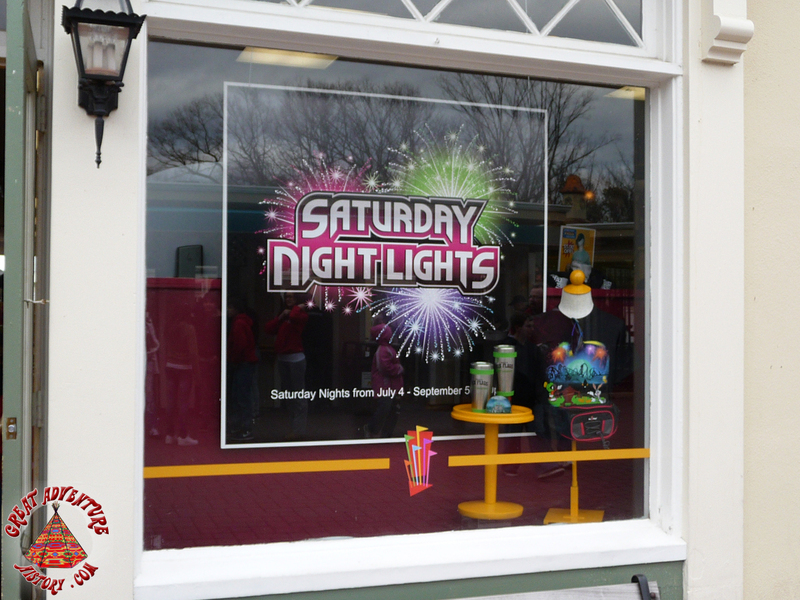 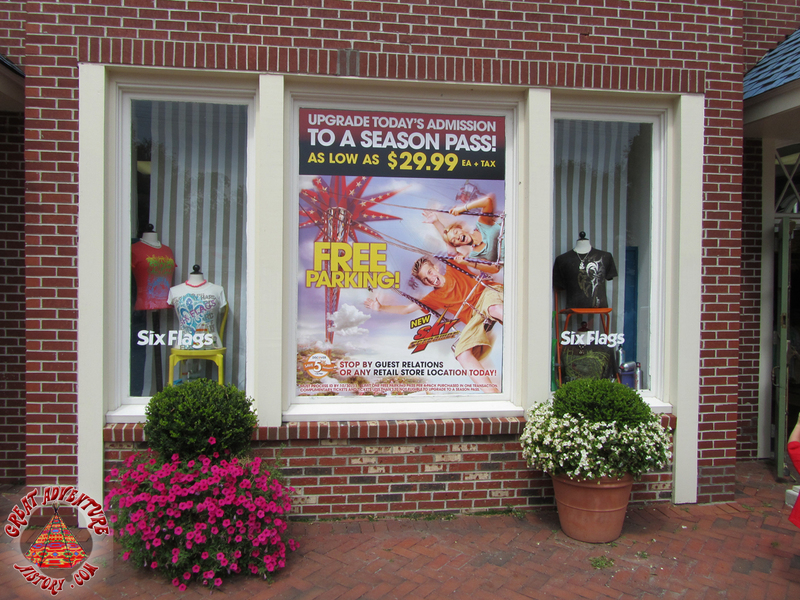 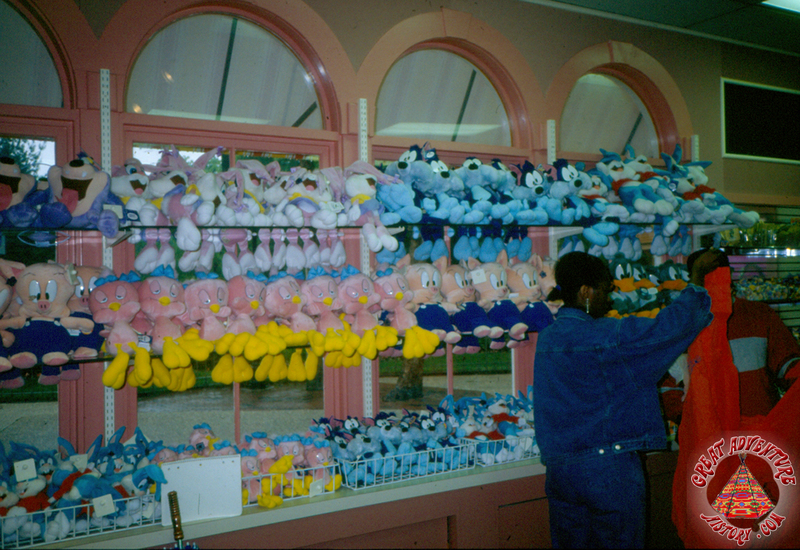 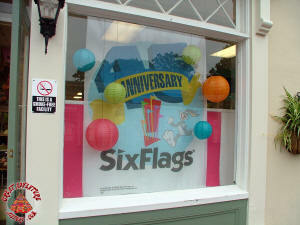 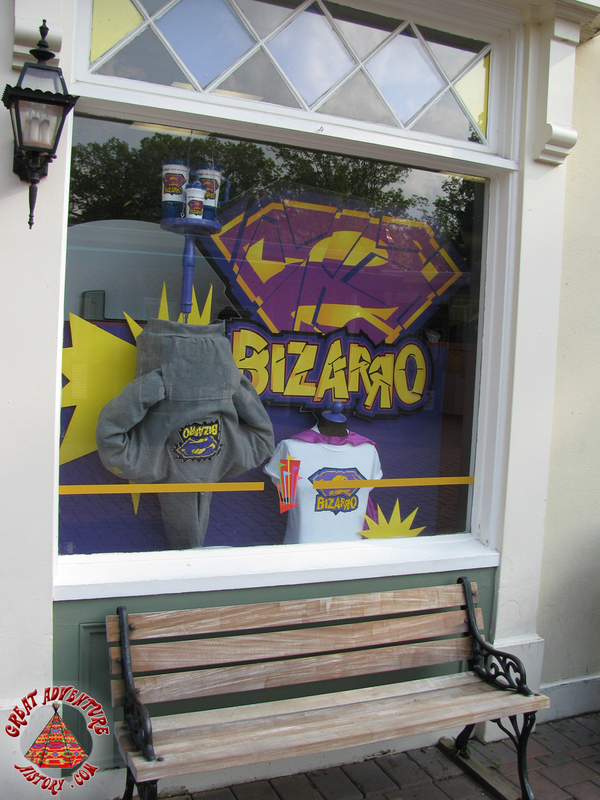 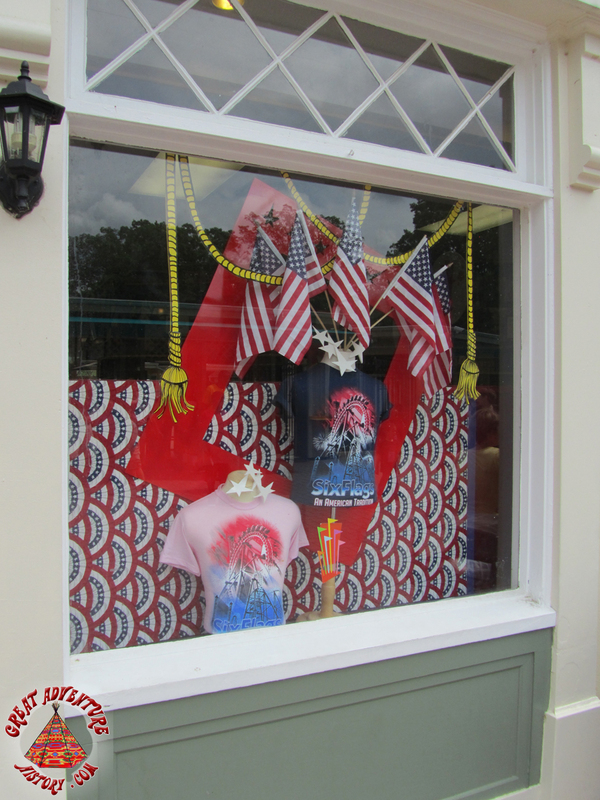 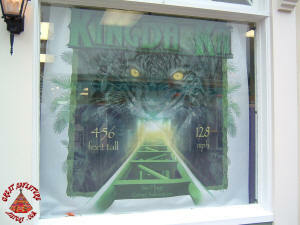 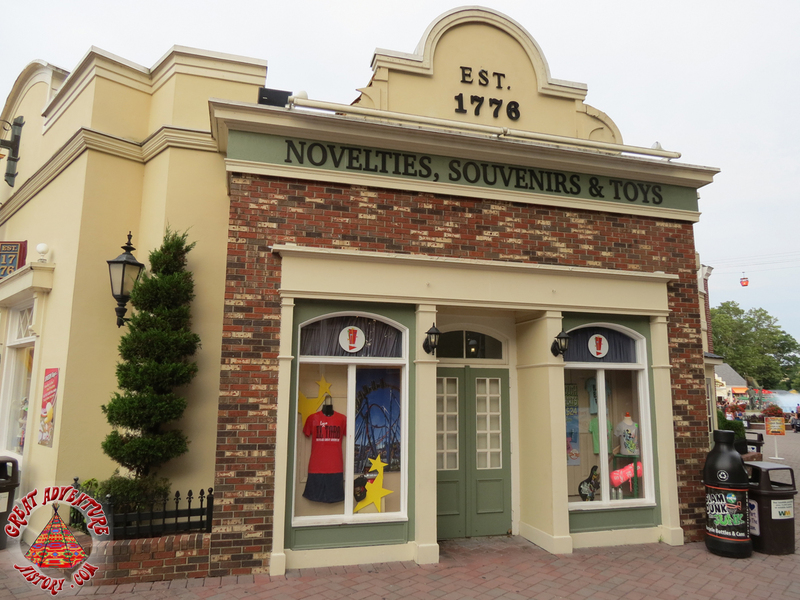 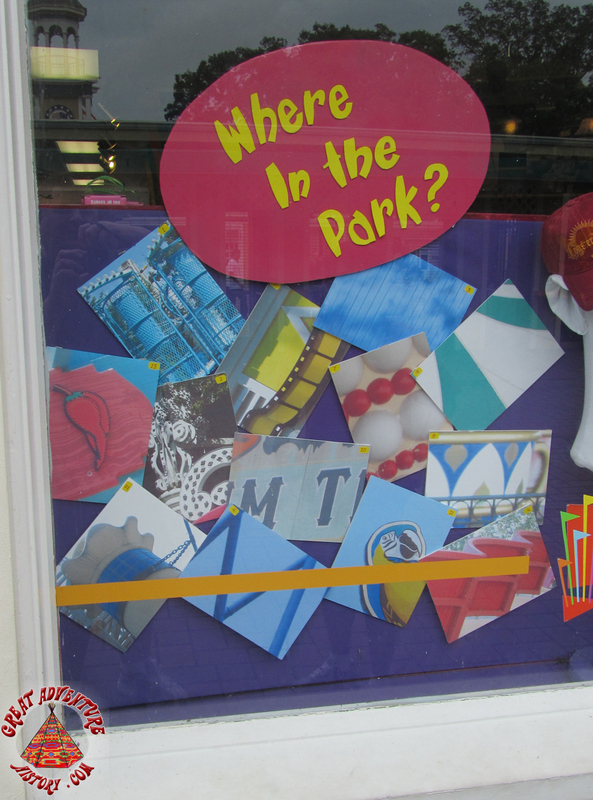 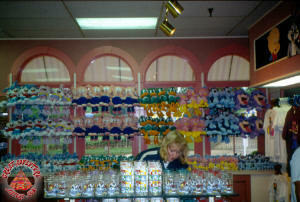 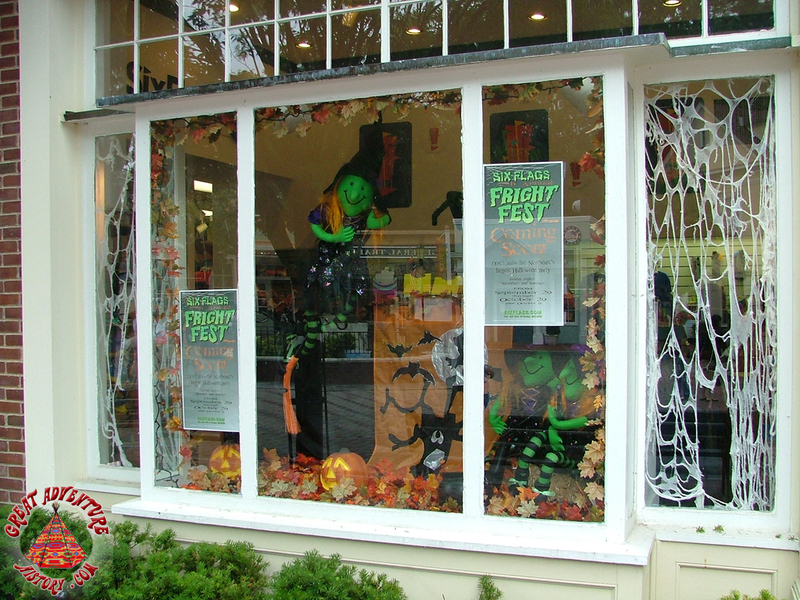 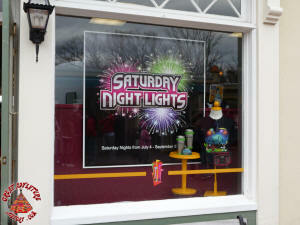 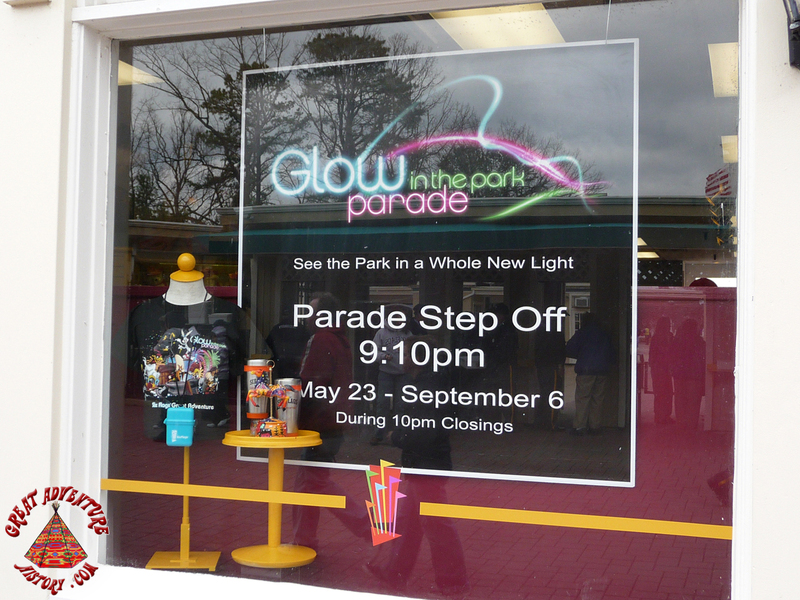 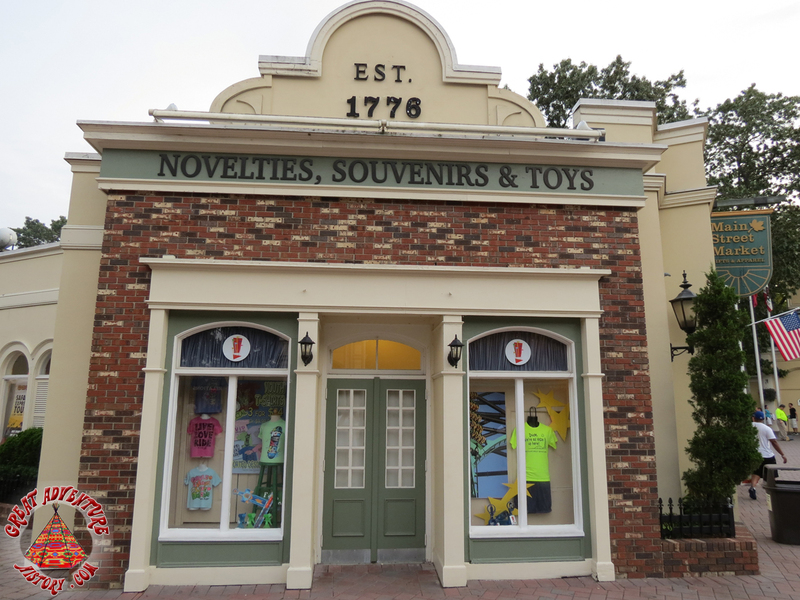 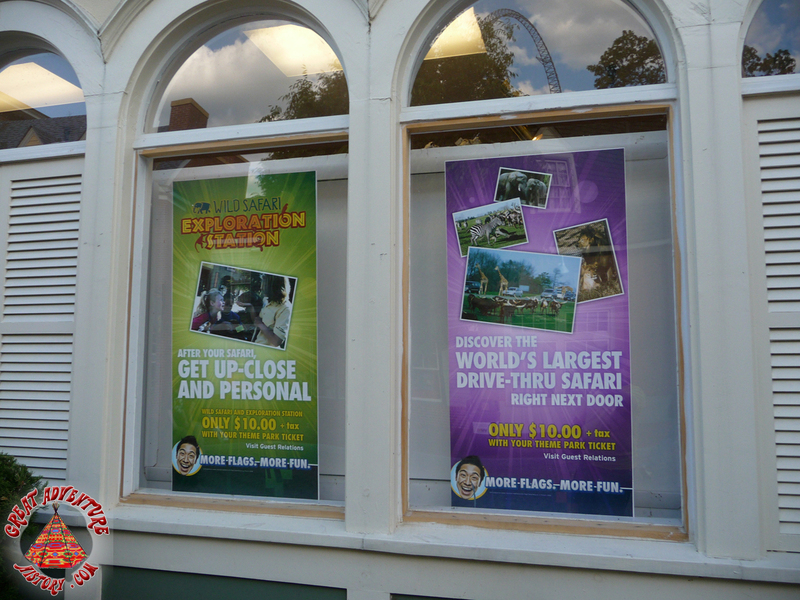 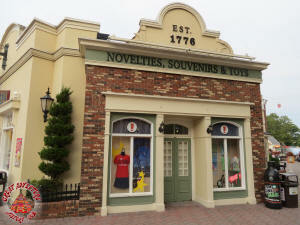 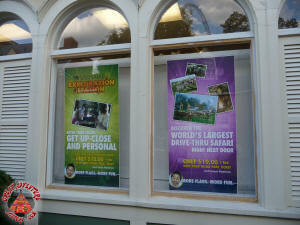 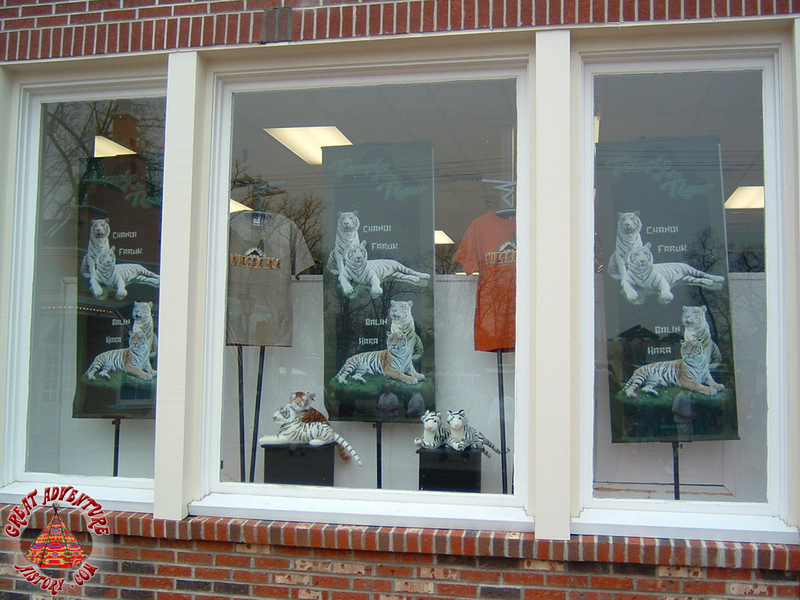 The shop's windows are frequently changed throughout the season drawing guests indoors to see the park's newest merchandise offerings. 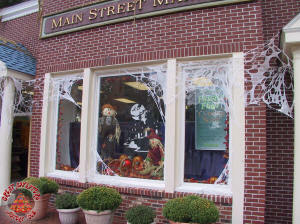 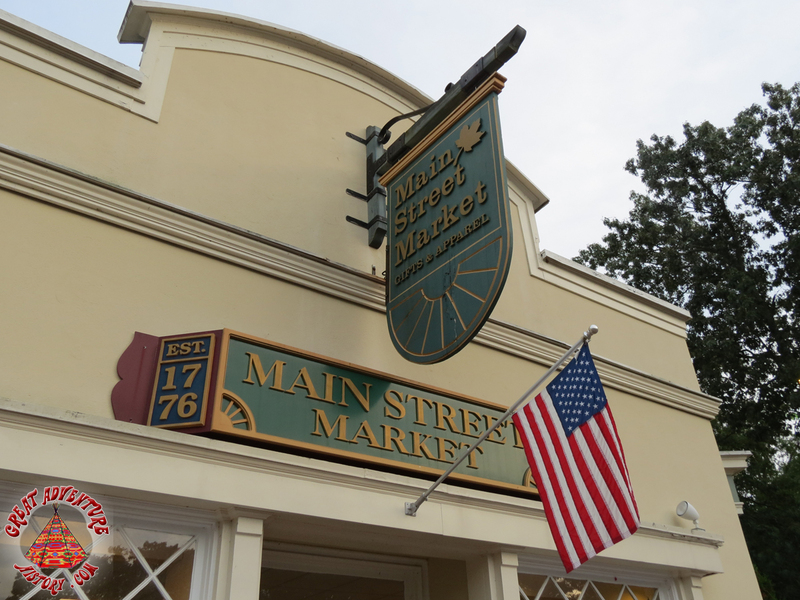 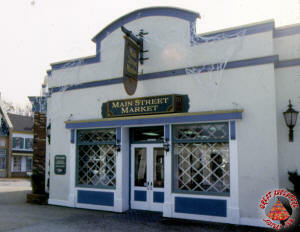 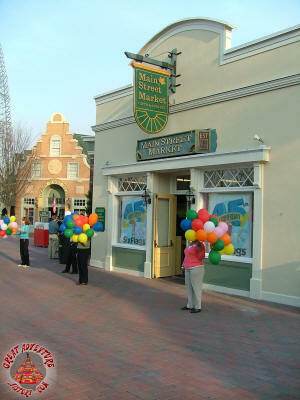 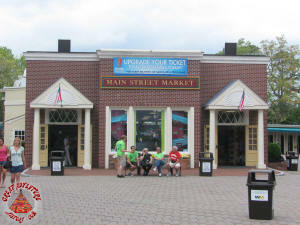 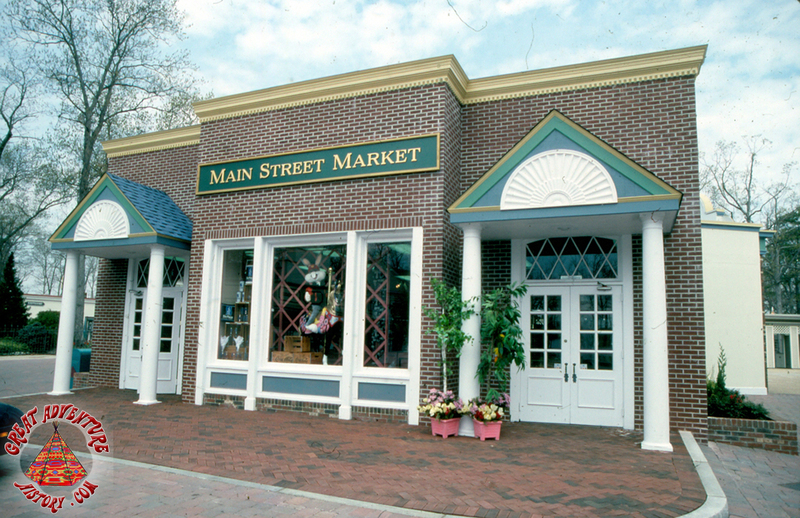 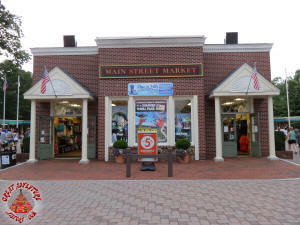 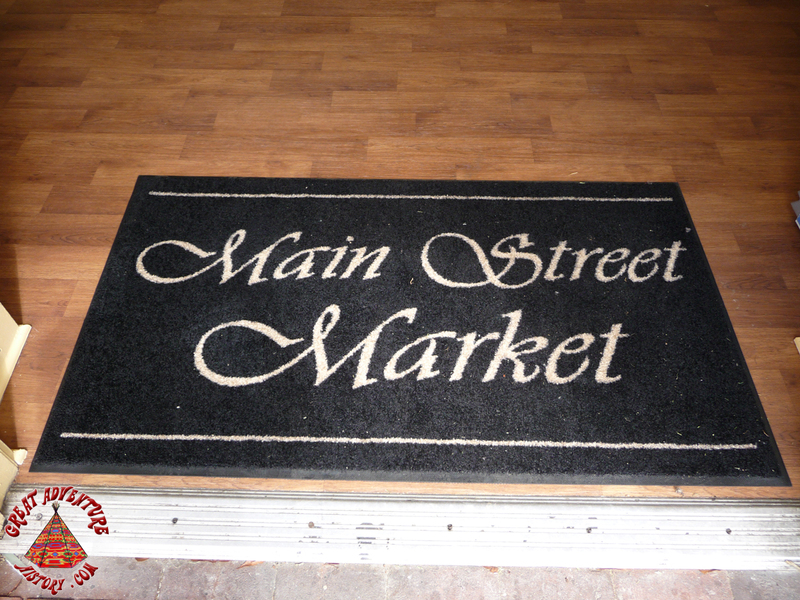 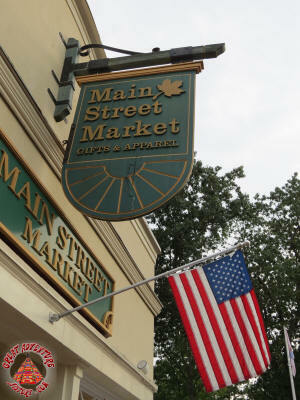 Over the years Main Street Market has been remodeled and changed several times. 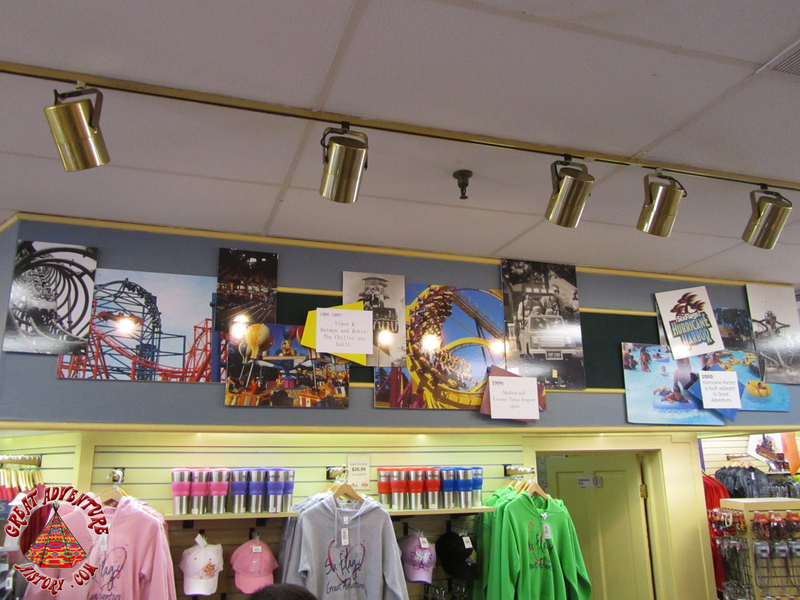 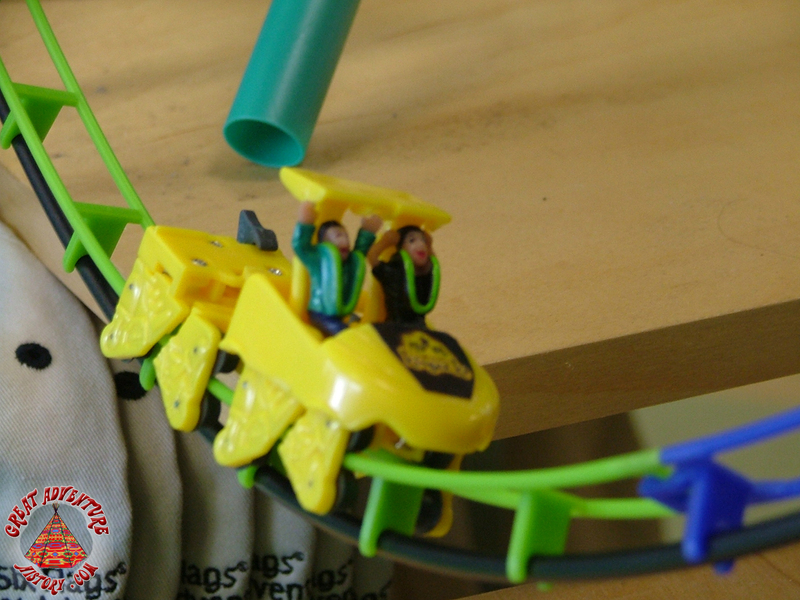 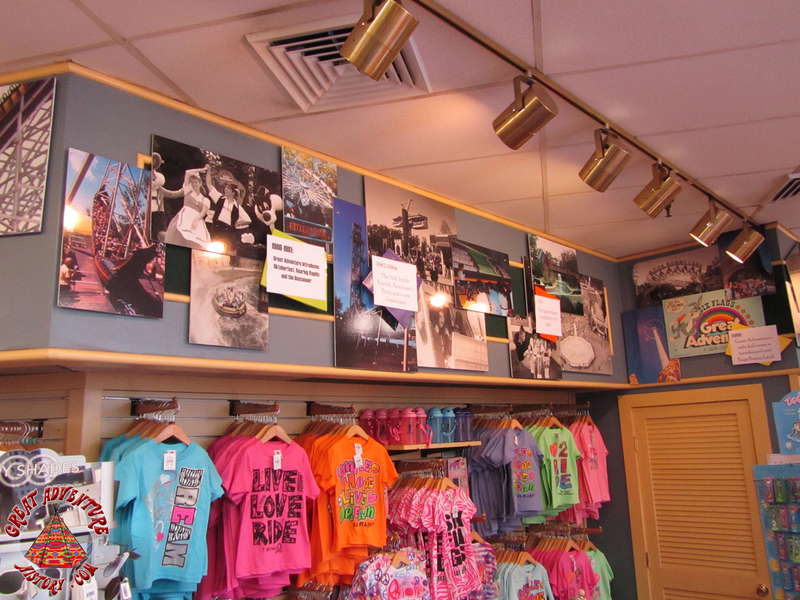 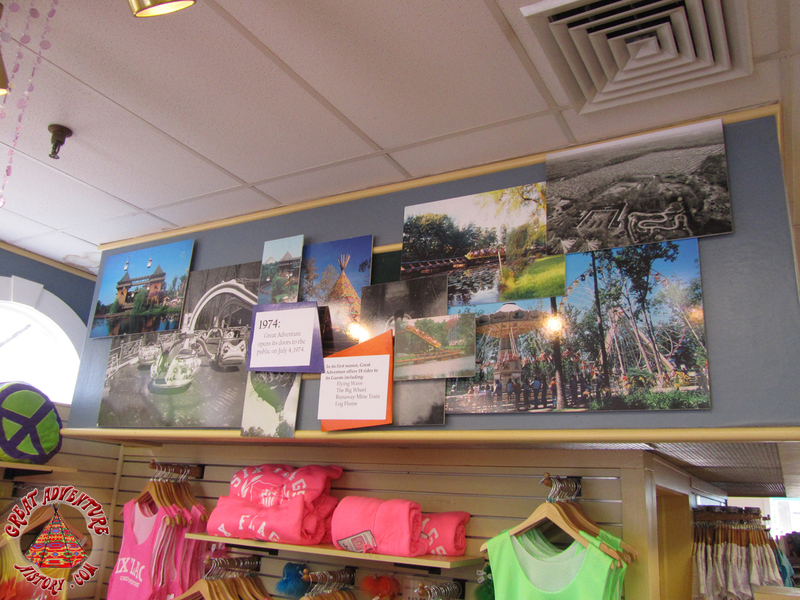 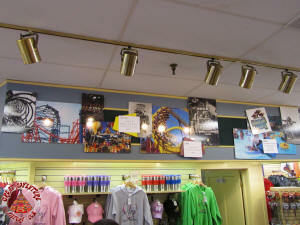 As part of the most recent updates, a photo tribute to Great Adventure's history was added around the interior soffits of the sales floor, allowing guests to reminisce over attractions that have been retired from seasons past. 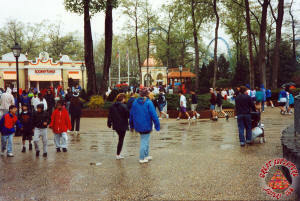 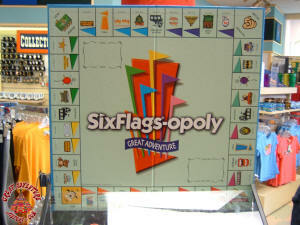 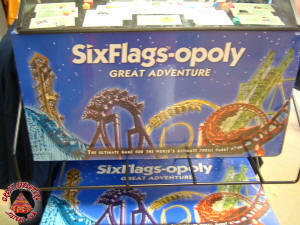 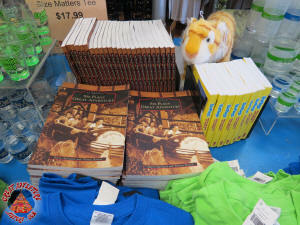 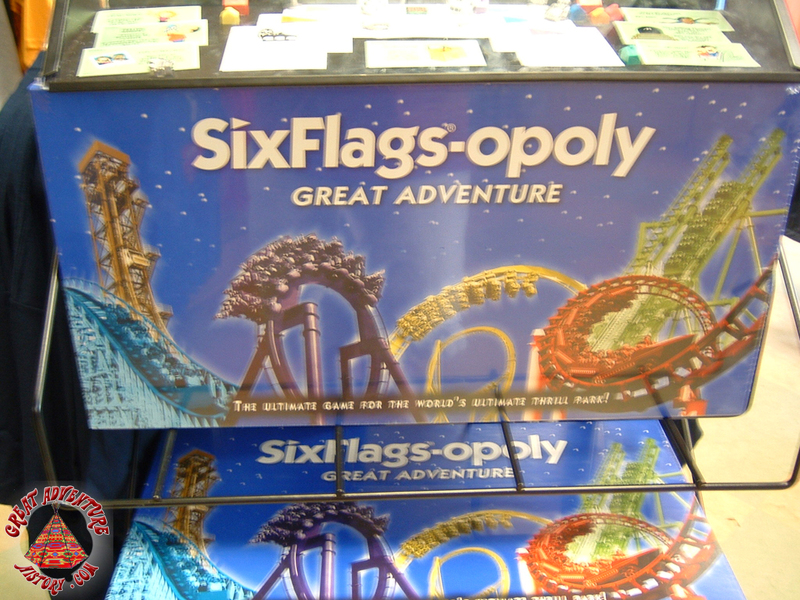 Six Flags Great Adventure book (written by the authors of this website!). 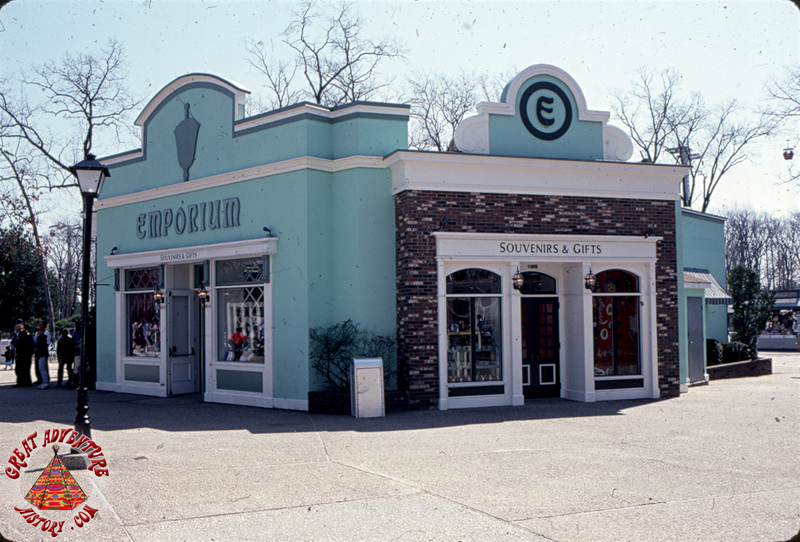 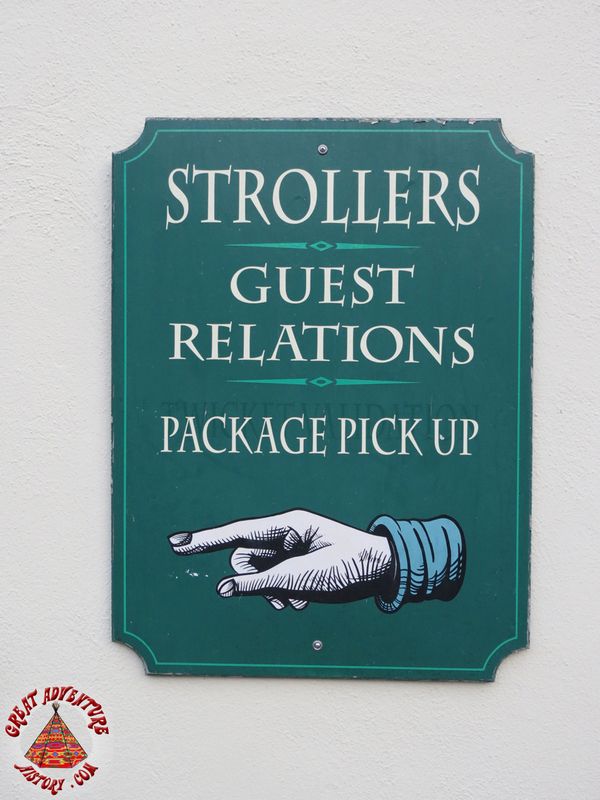 Ever since its introduction as the Emporium, this shop has welcomed guests and also bid them a heartfelt goodbye as it has stood near Great Adventure's main gates. 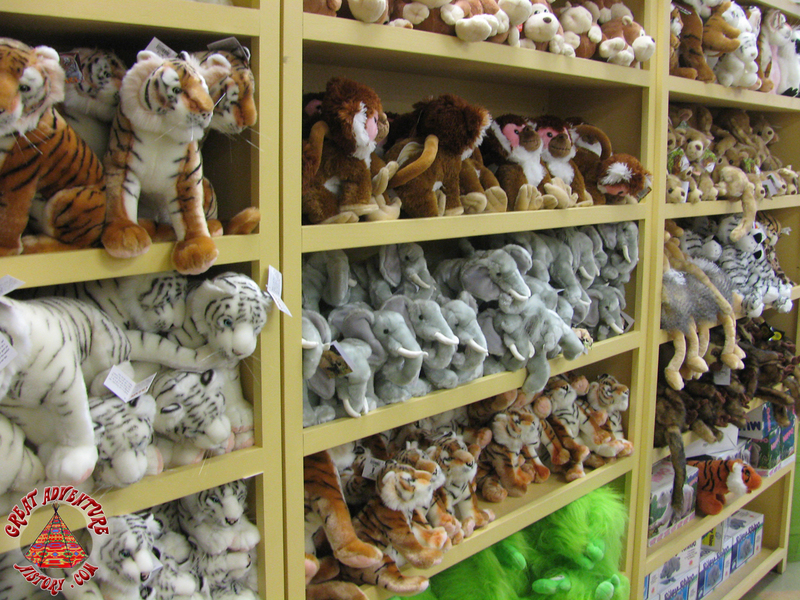 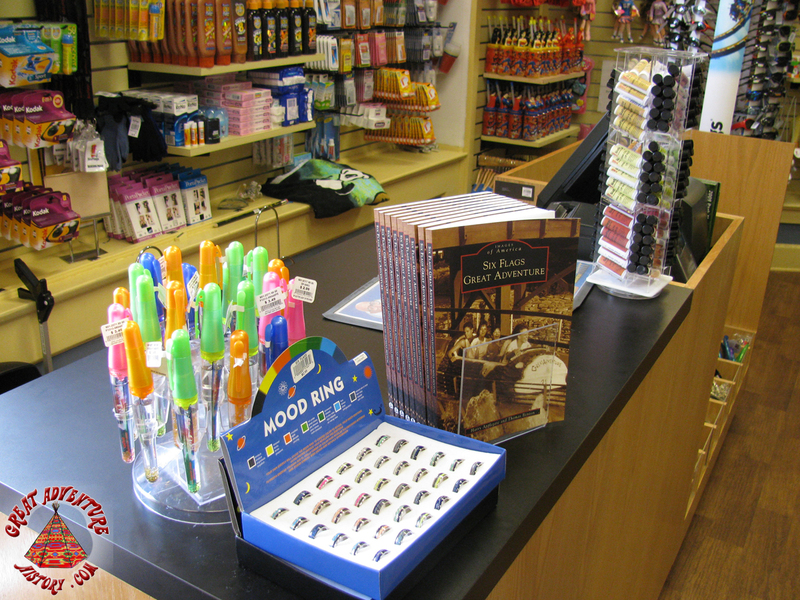 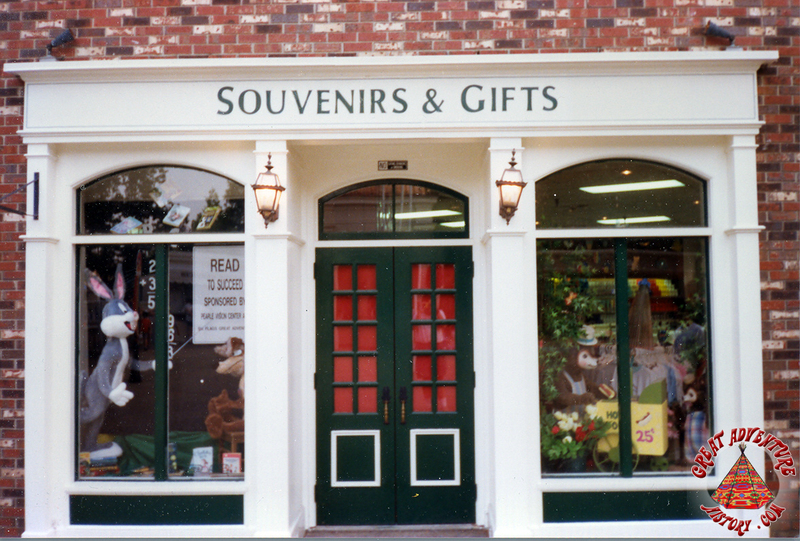 Whether it was a park map, a stuffed animal, a set of postcards, or a souvenir t-shirt, this shop has long been a favorite of park guests and probably the source of a trinket or two found in homes of past park visitors.